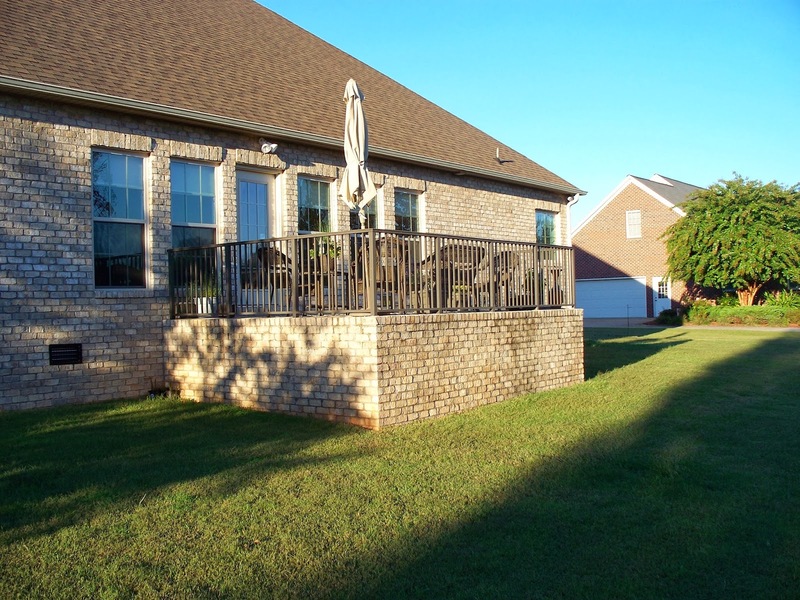 Single-Story Living with Space~Space~Space ~ 411 Saint Johns Drive ~ $296.5K! 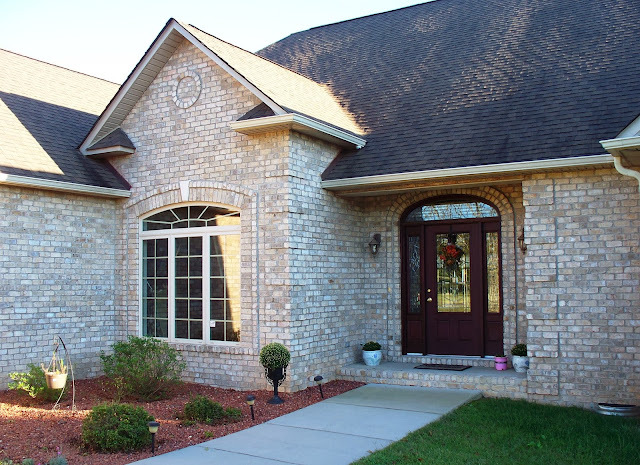 Your dream home is here! 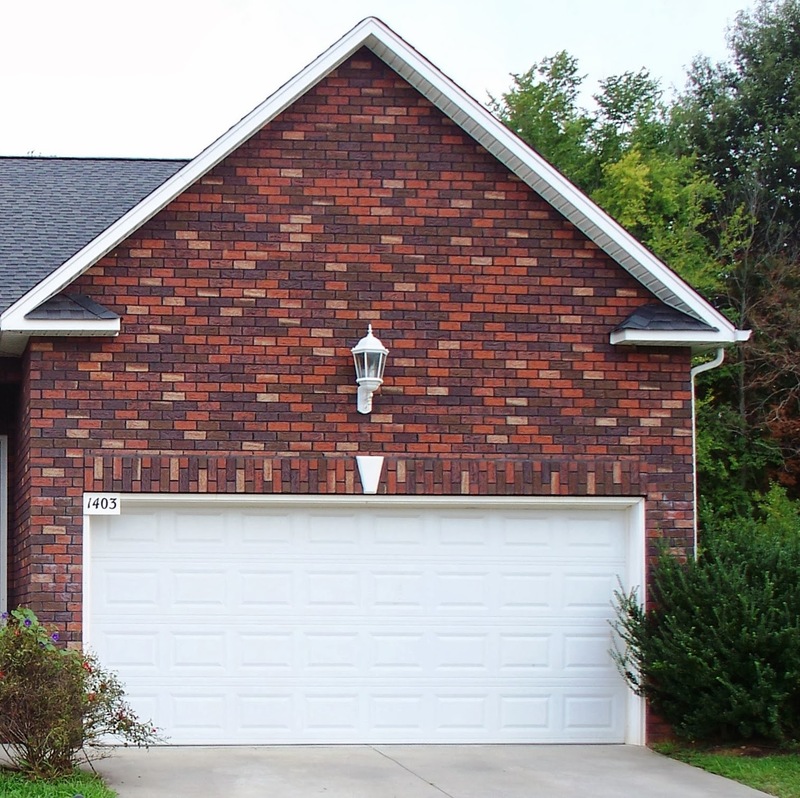 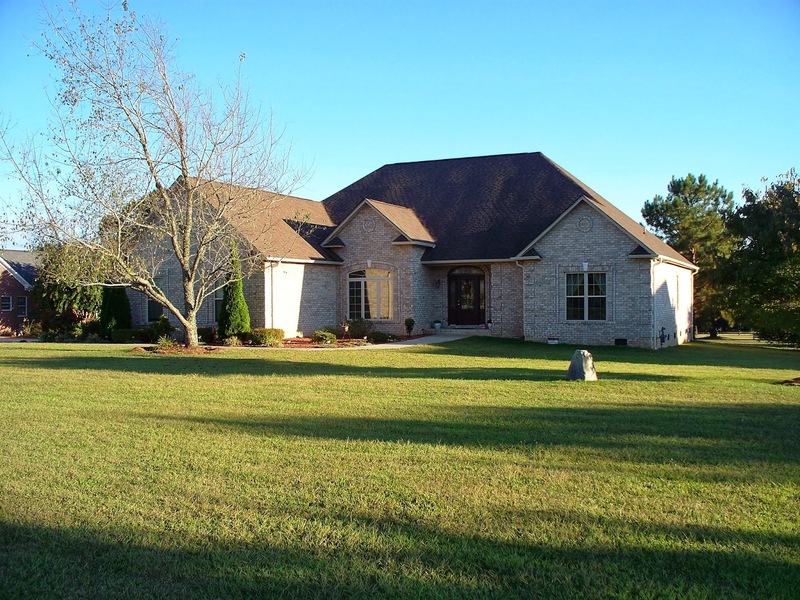 This custom-built, fully-brick home is single-story, spacious living at its best! 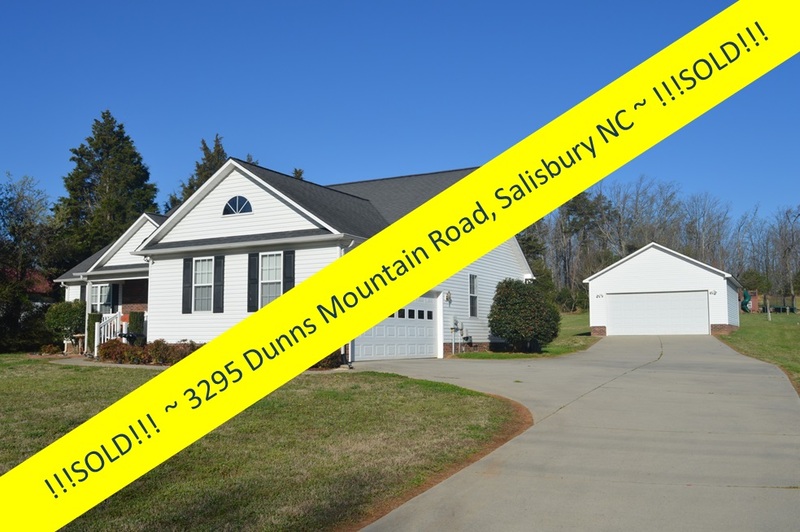 Welcome to 411 St. John's Drive ~ a 2465 square foot home located in the St. Johns Wood neighborhood of Salisbury, North Carolina ~ a quiet 55-household neighborhood in Rowan County that includes residences on Saint Johns Drive, Young Road, and US Highway 601. 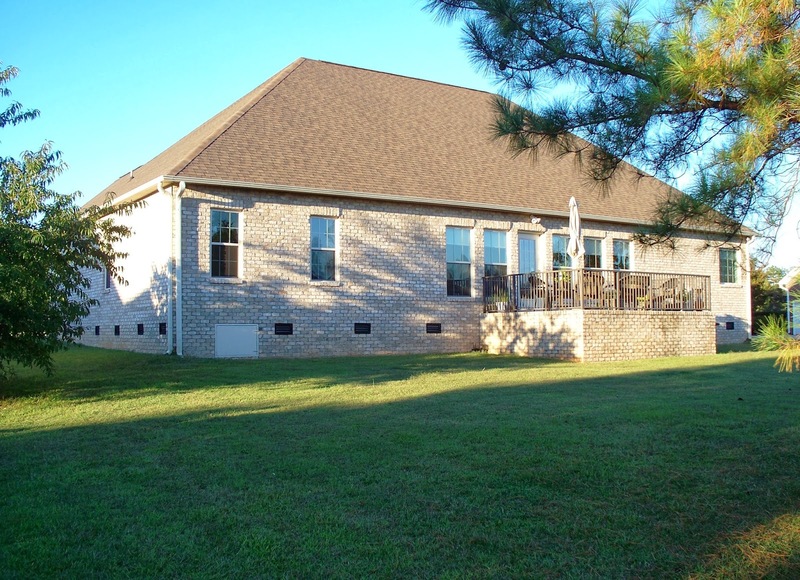 This gorgeous, nearly new, cream-colored brick home sits on over an acre of property. 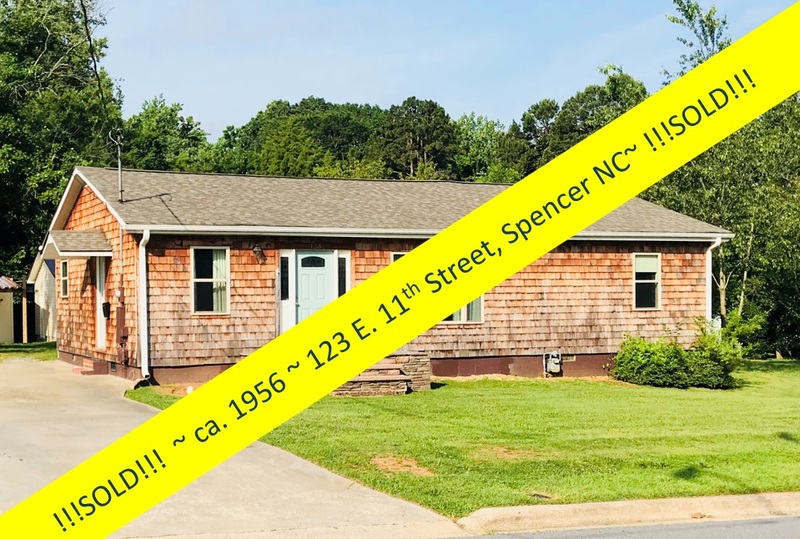 411 St. Johns Drive has a very interesting and open floor plan ~ and this with its sprawling lawn offer a feeling of spaciousness both inside and out like you’ve never felt! 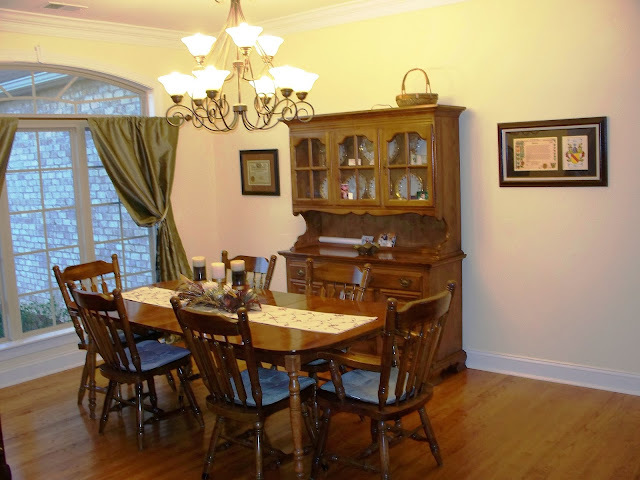 Inside the leaded glass front door, with leaded glass sidelites and transom, you are struck by the wide open space with warm hardwood floors stretching out before you ~ the 25’ living room straight ahead, and the nearly 18’ dining room to your left. The sheer size of the living room, with its gas fireplace and 9-foot ceilings with crown moldings, sunlit by a bank of windows that flanks the entire back of the room, lends itself easily to entertaining on a grand scale. 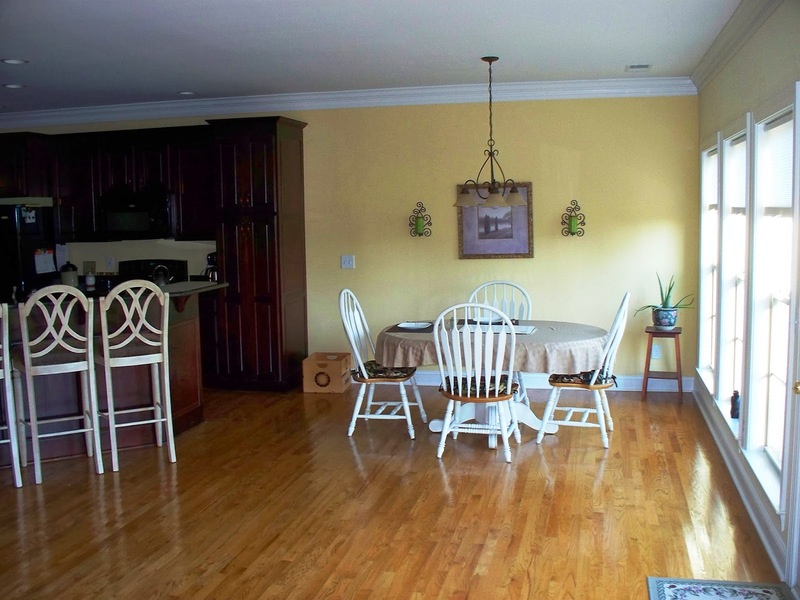 The living area unfolds to the breakfast area and kitchen. The dining room ~ a gracious 18-foot room ~ is presided over by the magnificent custom triple-wide window with arched transom that equally acts as a focal point for the home's exterior. 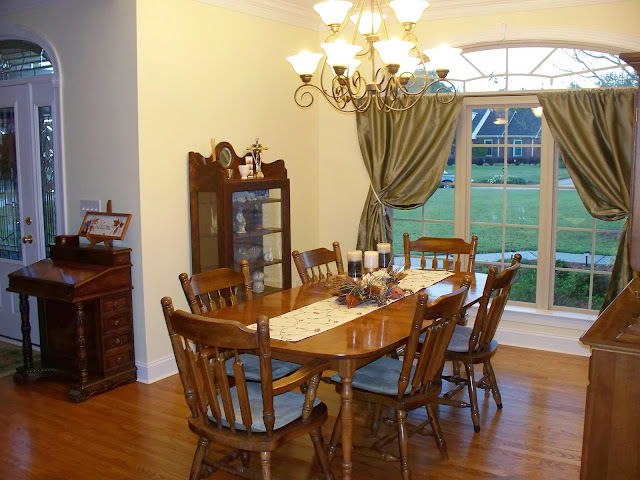 This dining area with more pristine hardwood floors and crown molding accenting the ceiling line is designed as a alcove off the front entrance and large living area. 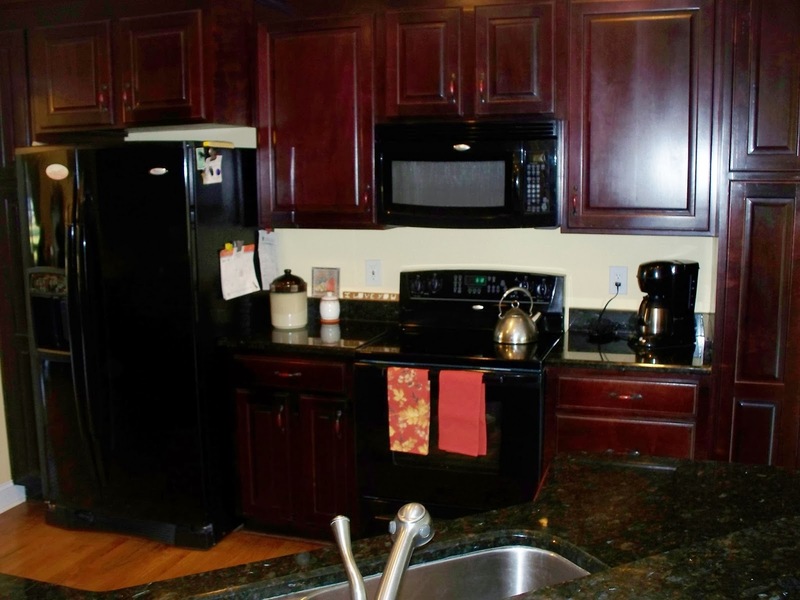 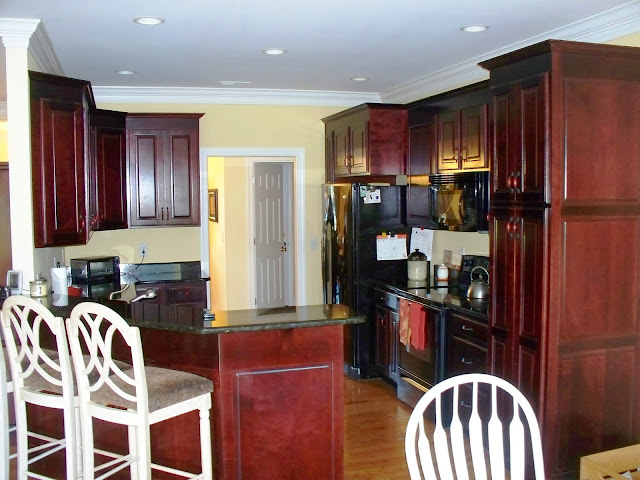 The kitchen features recessed lighting, gleaming granite counters, and deep rich custom cherry cabinets. 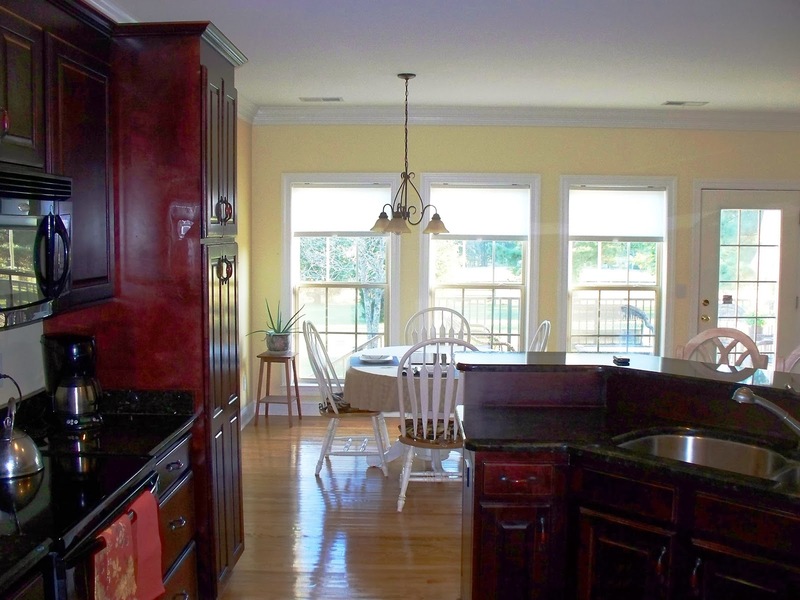 The lunch counter is a nice touch and makes for a great space to socialize with guests or family while the cook is at work! The hardwood floors here lead out to the adjoining breakfast area that overlooks the elevated rear patio area and picturesque back yard. 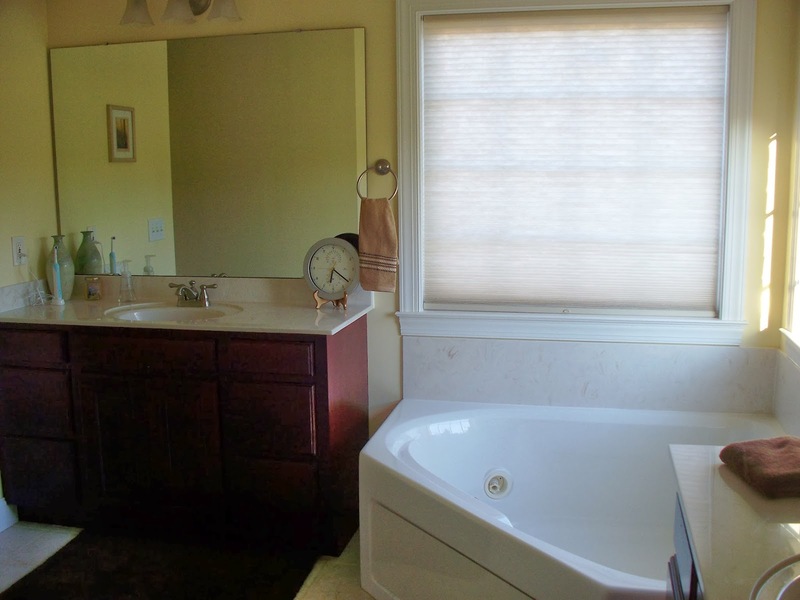 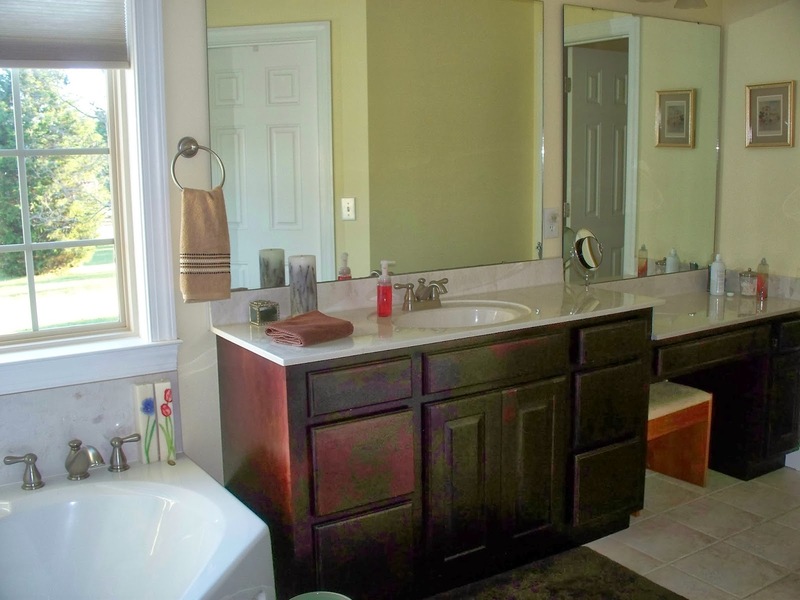 411 St. Johns Drive features a very large, 17’ x 13’, master bedroom suite has a nearly 10’ x 10’ walk-in closet, and an extra large bath, with ceramic tiled floors, a grand corner Jacuzzi tub with dual vanities flanking either side, and separate shower. 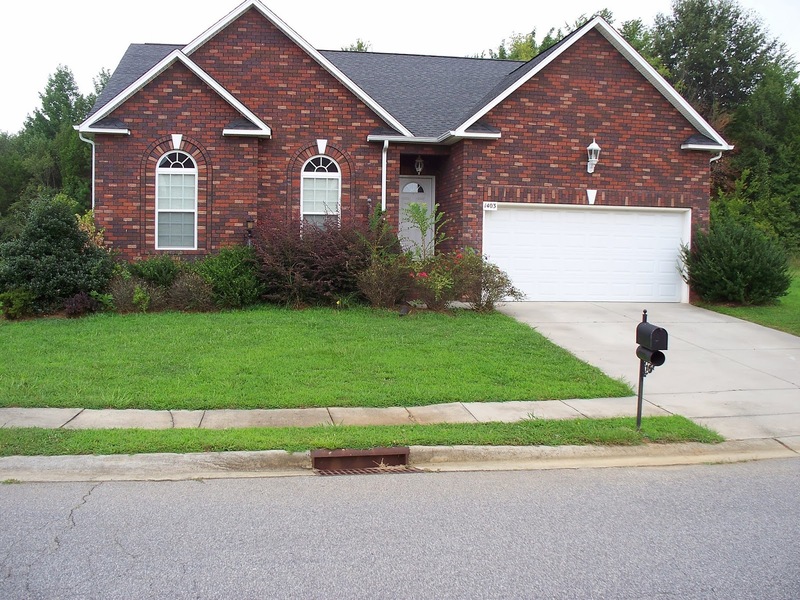 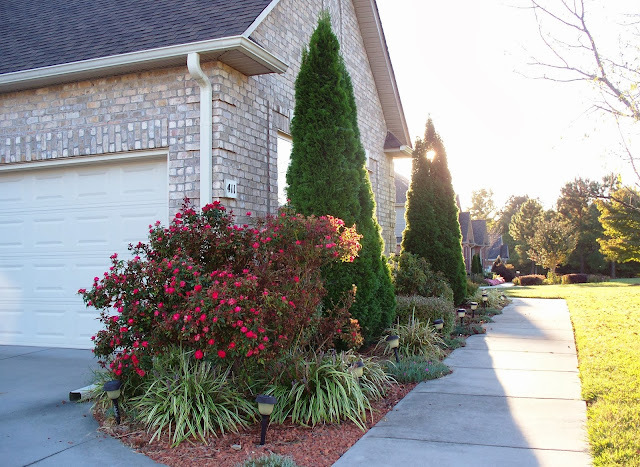 The exterior of this all-brick home is nicely landscaped with evergreen shrubs, roses, dianthus, and variegated liriope. 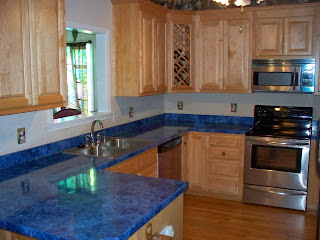 The home has a dual-car, oversized (you can fit 2-autos AND have room for workbenches and storage! 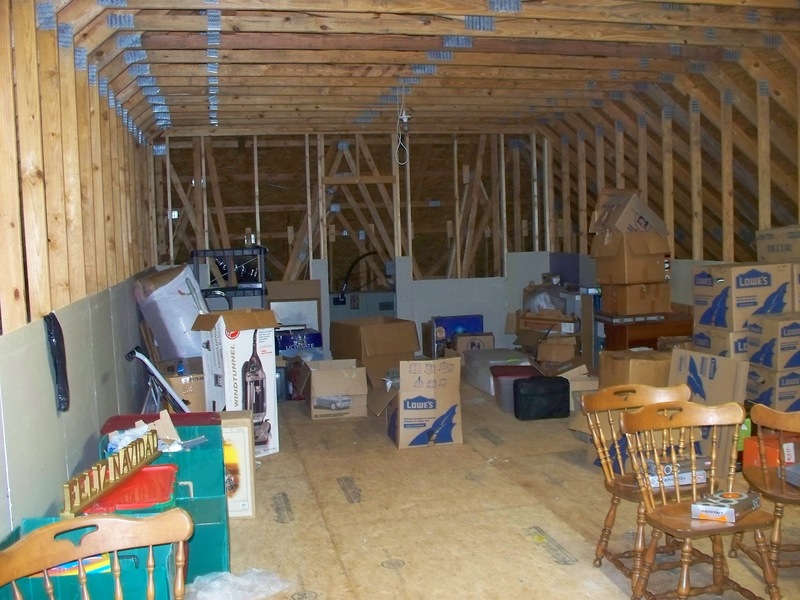 ), attached garage with a small workshop area. There is more storage space in the unfinished 31’ x 16’ rough-plumbed attic. 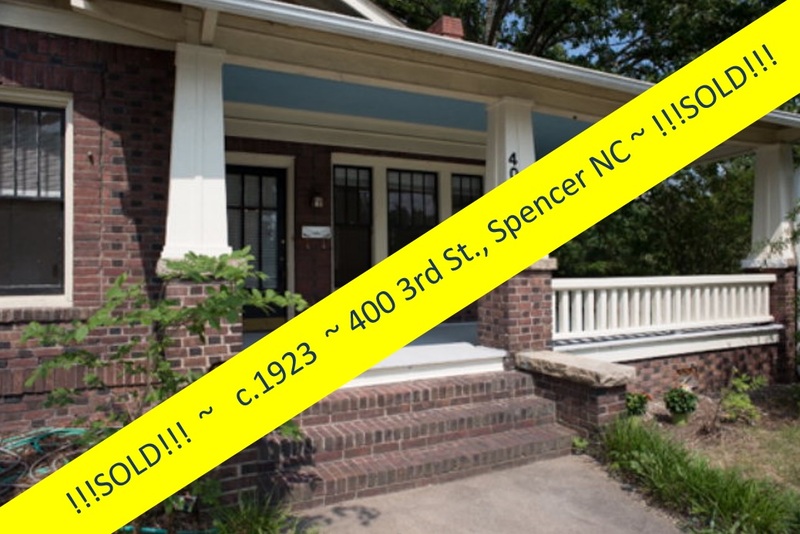 411 St. Johns has had just one owner and is so immaculate, it looks like it was built yesterday! 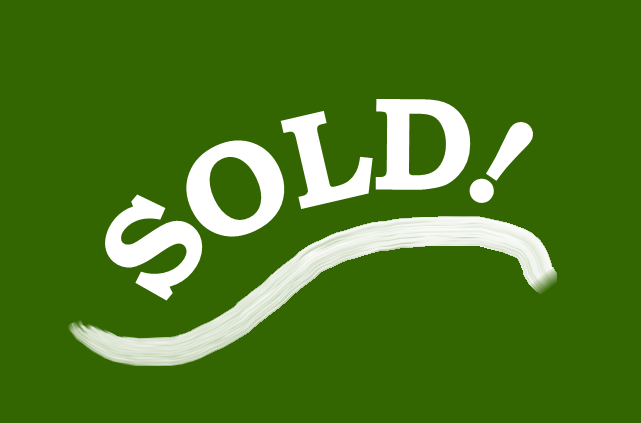 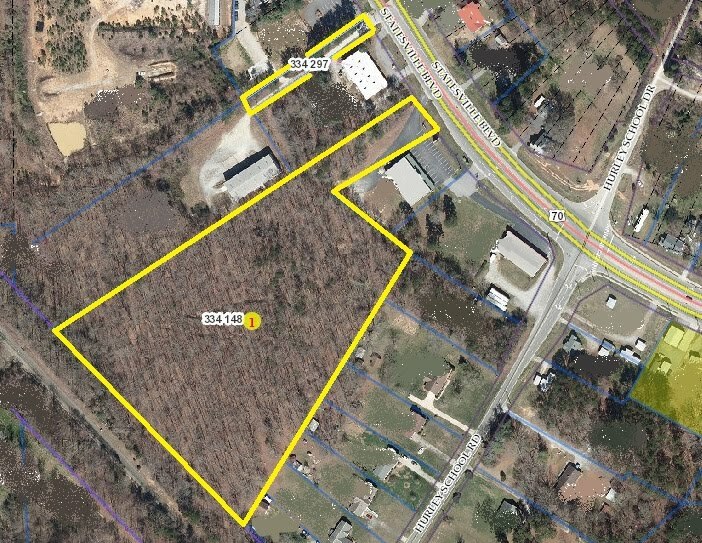 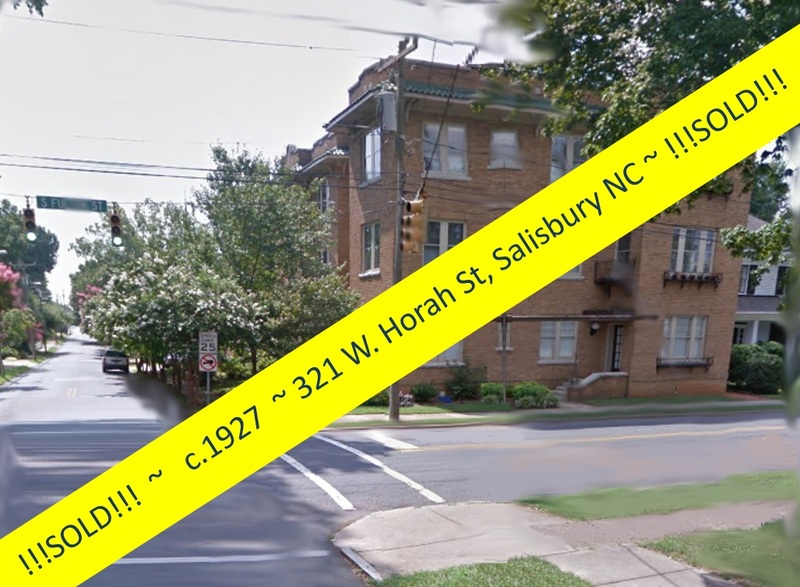 And…if this is all not enough, there are no city taxes at 411 St. Johns Drive!! 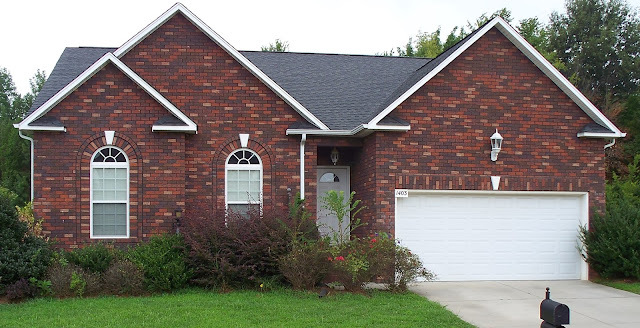 This 2007 custom built all-brick home with space~space~space, both indoors and out, is waiting for your visit! 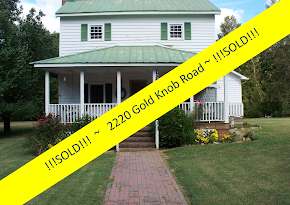 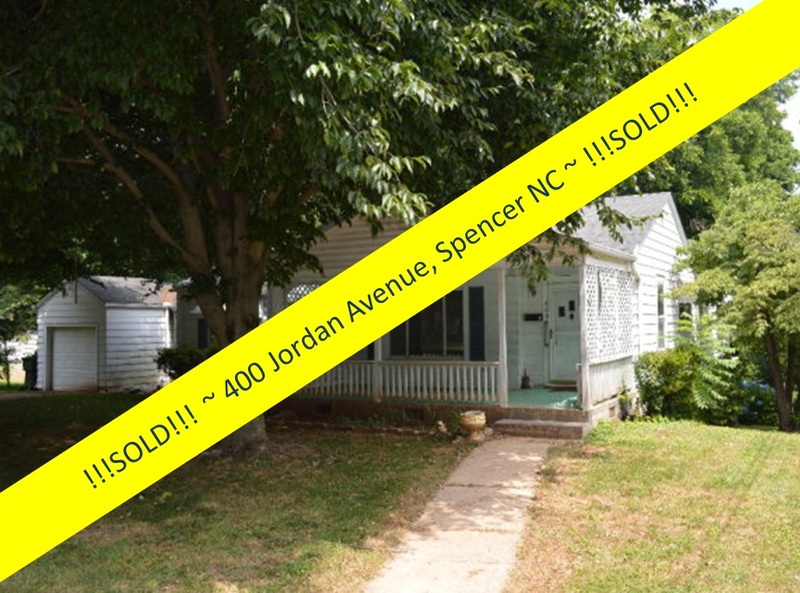 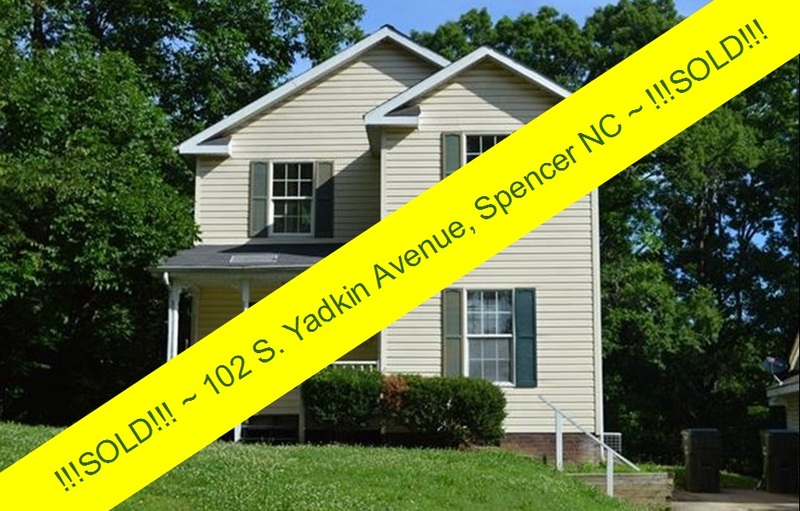 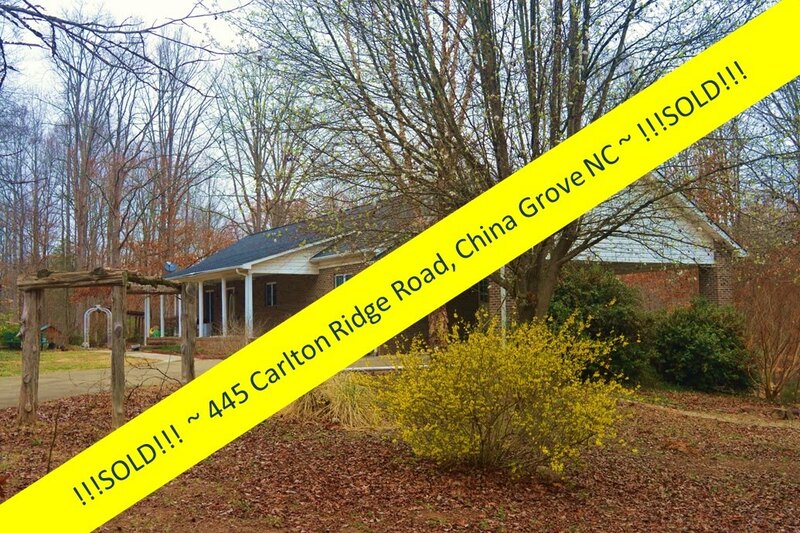 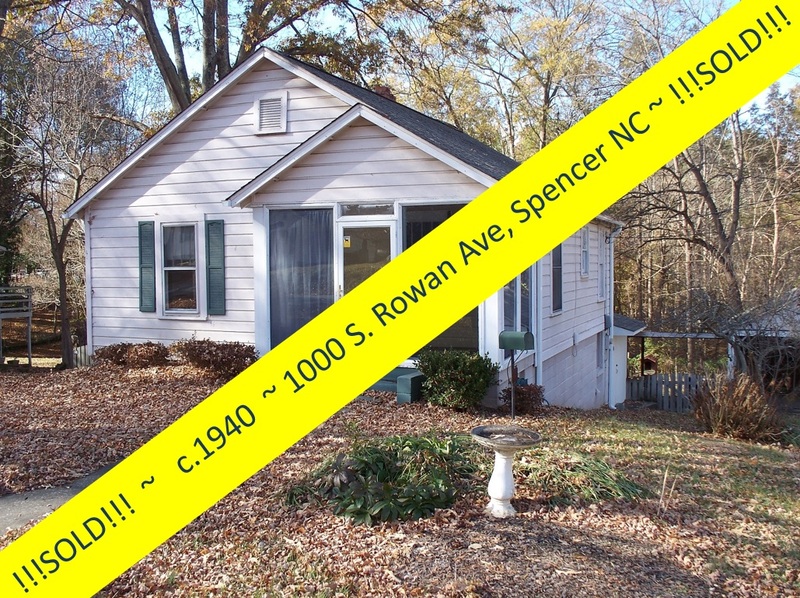 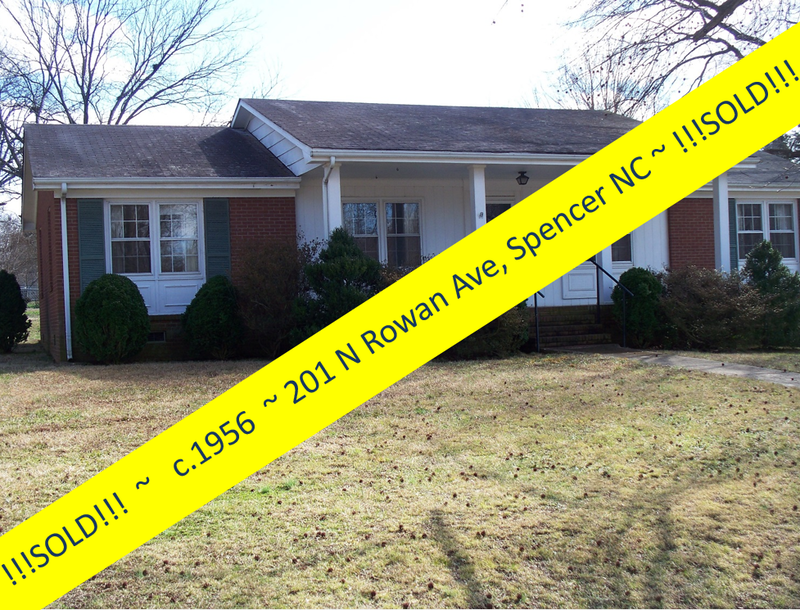 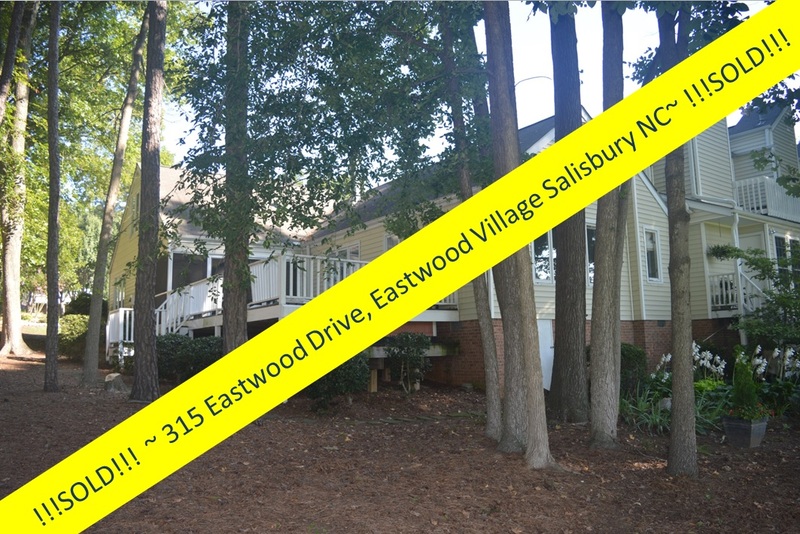 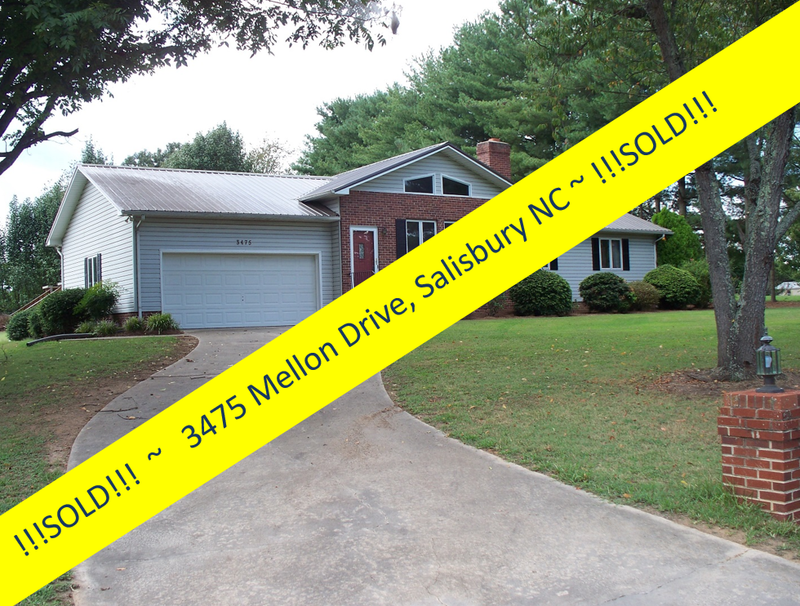 Call listing agent Greg Rapp today at 704.213.6846 to grasp this wonderful opportunity to own this home! 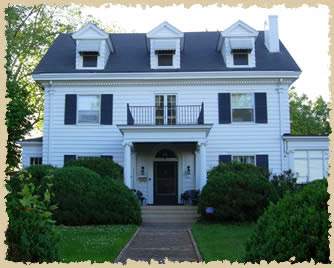 Across the Pond Bed & Breakfast ~ In the c. 1919 Stokes-Snider House ~ Coming Soon! 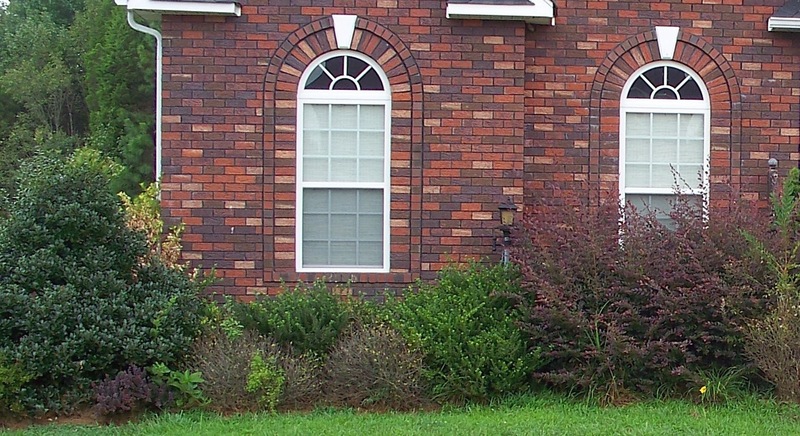 The greenest building is the one already built. 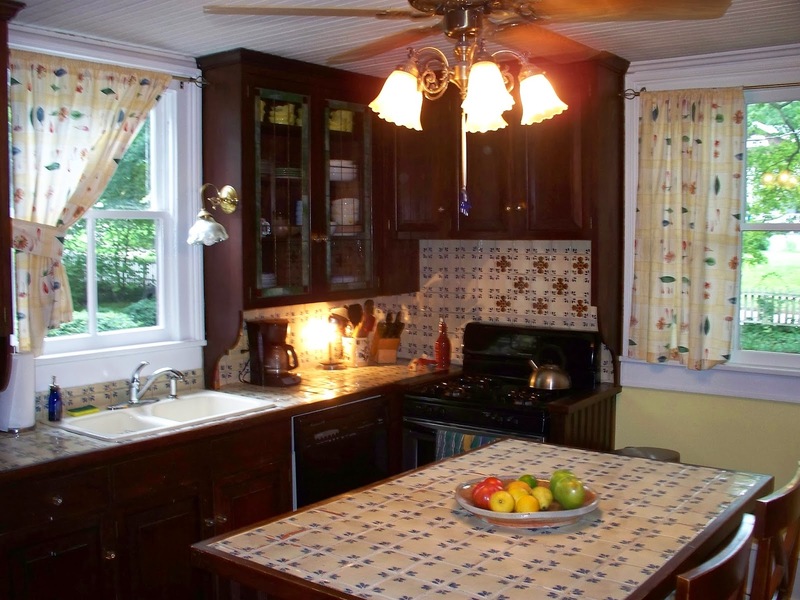 Renovation, not new construction, will fuel growth over the next 20 years as more people discover that preservation is "the ultimate recycling." 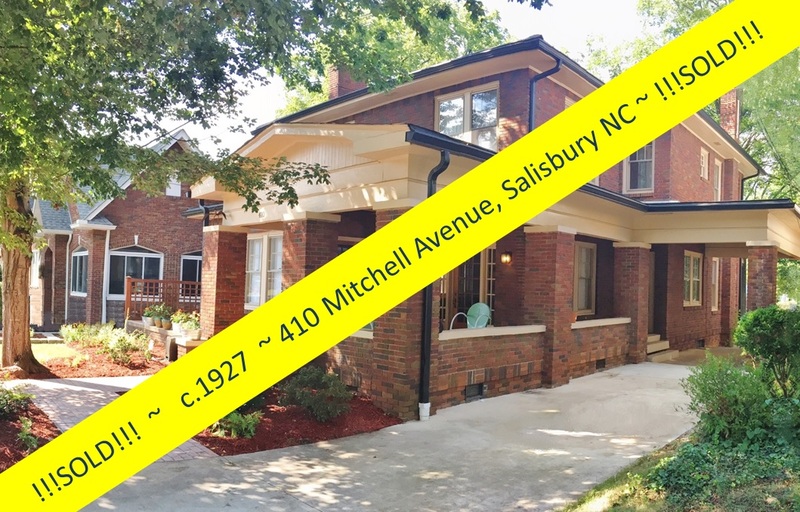 Preservation awareness tops a list of goals for many in the Salisbury North Carolina area who realize the wealth of historic homes and buildings that exist here. 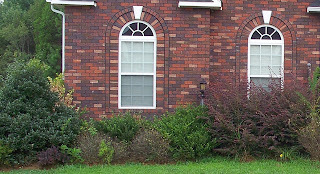 The rising popularity of sustainable development could boost their efforts. 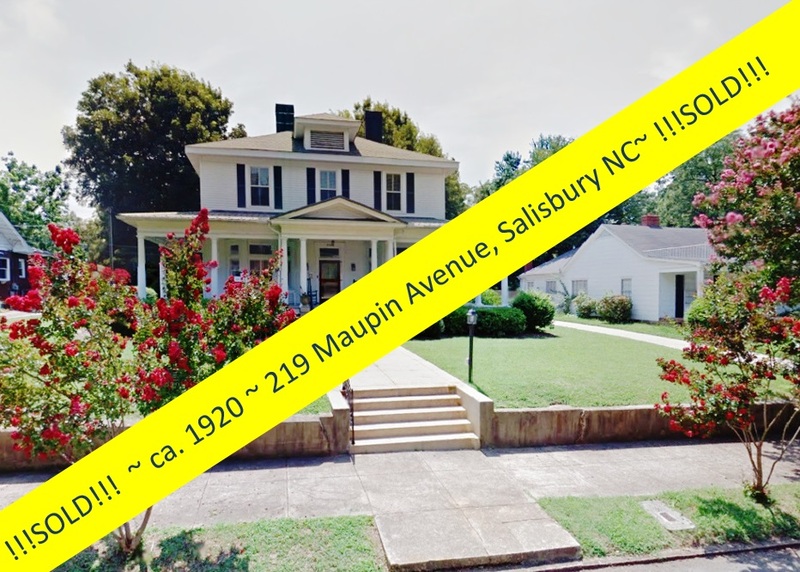 Greg Rapp, of Wallace Realty, one of Rowan County’s most enthusiastic and knowledgeable supporter of historic structures, says, “It would be great if people to understood the importance of historic structures today, and that preservation and sustainability are often one and the same. It seems like we've become a disposable society, discarding everything . 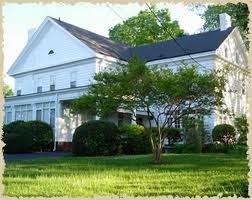 . . including our wonderful old homes and buildings. 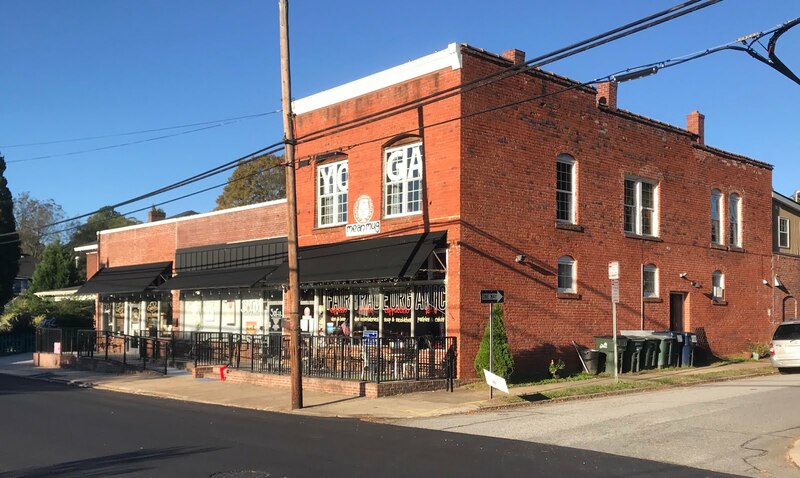 Preserving and reusing those structures can maximize the use of existing materials and infrastructure, as well as reduce waste, not to mention preserve the historic character of a neighborhood or town. 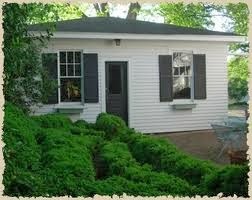 Additionally, it’s usually cheaper to rehabilitate an old building rather than construct a new one . . . you are nearly always better off using what you’ve got in an older structure that was built with higher quality materials and construction methods. 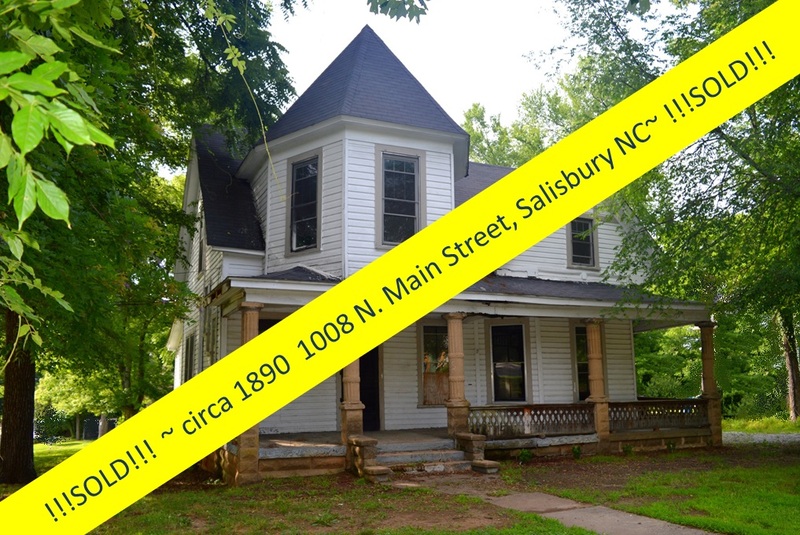 There is a reason these buildings are still intact today!" 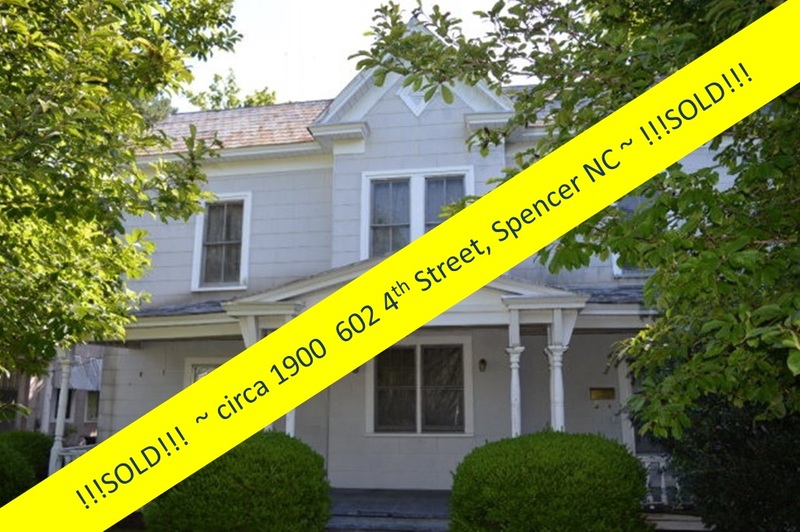 And so the story begins of the Doctor Stokes-Arnold Snider House, c. 1919, the nearly 5000 square-foot home at 324 N. Fulton Street in the Ellis Street Graded School Historic District, a Colonial-Revival style home with abundant architectural features that include dentil molding, French doors, pocket doors, leaded glass, oak flooring, built-ins, and several fireplaces. 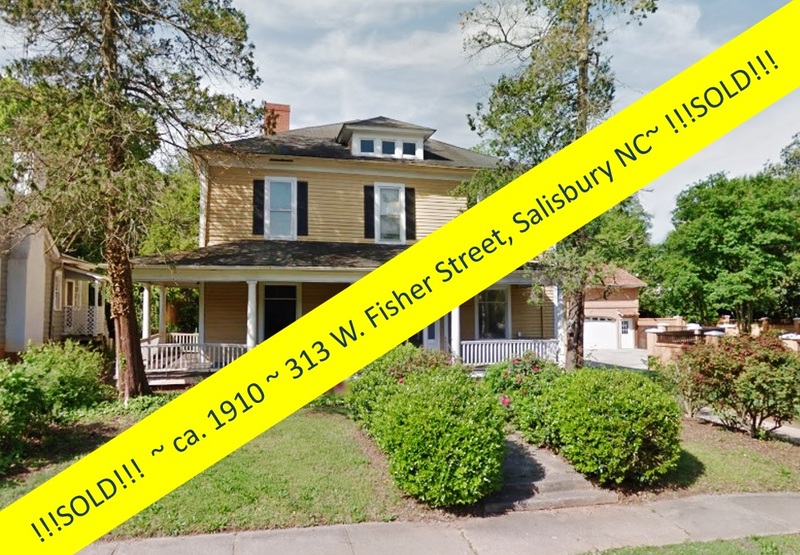 One of Salisbury’s finest houses, the Stokes-Snider home, a classic Colonial-Revival built by a surgeon whose family lived in for 59 years, was graciously donated to the Historic Salisbury Foundation by the prominent Snider family. 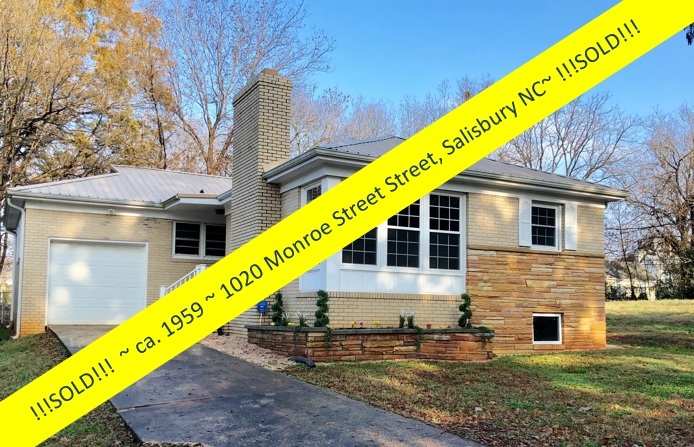 Located in an historic district, the 4,700 square foot home is light and bright with large windows and a commanding site. 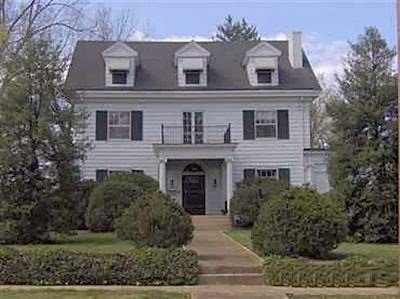 A large Ionic-columned entrance porch, dentil cornice molding, and pedimented dormer characterize this two-and-a-half story Colonial Revival-style frame house. 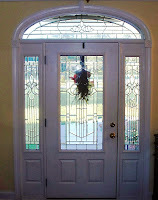 Four leaded glass double doors open from the living room and library to a large enclosed porch. Master suite has its own living room. 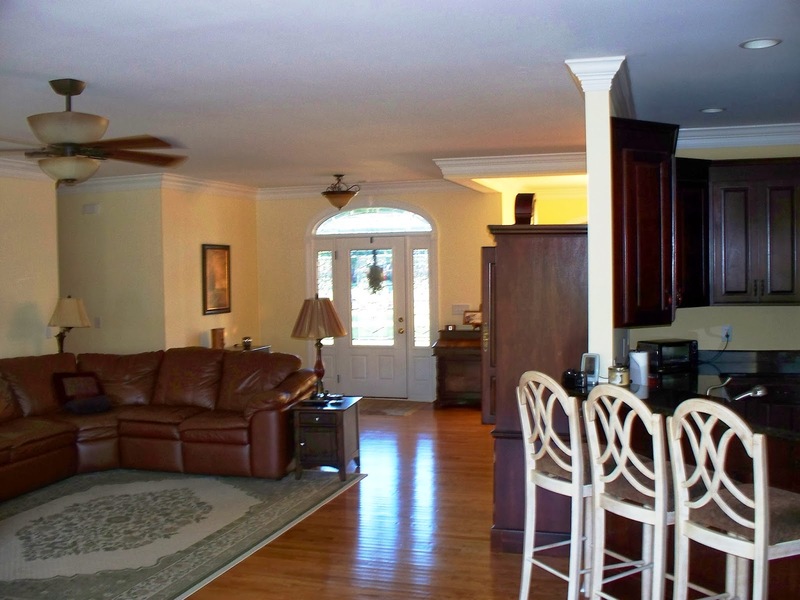 There is a long full stairway from the ground floor up to the expansive attic. 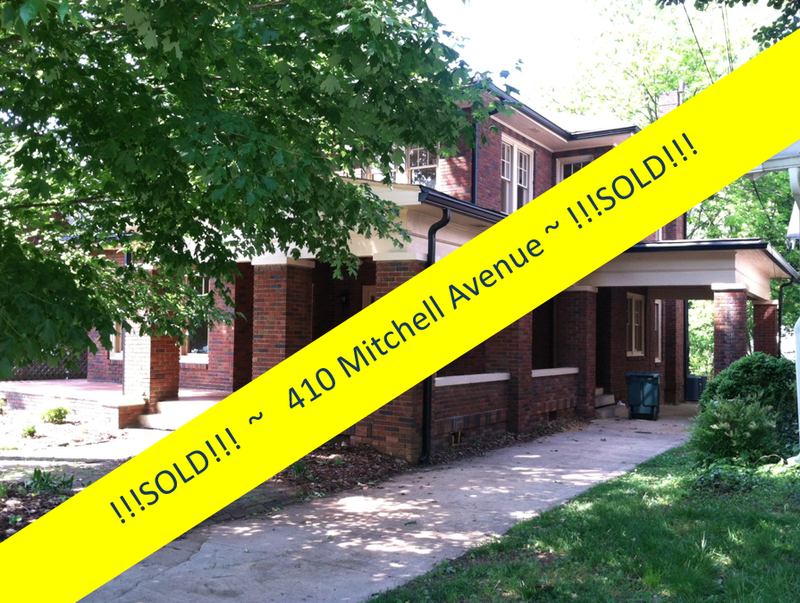 The house was in excellent move-in condition, ready for sympathetic preservationists to enjoy immediately. 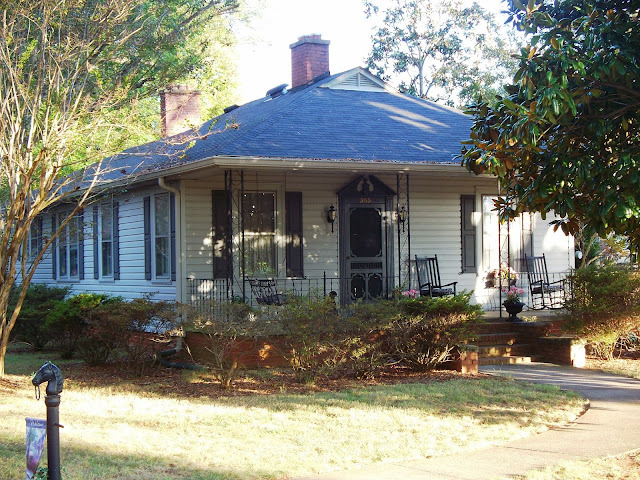 The home is listed on the National Register of Historic Places. 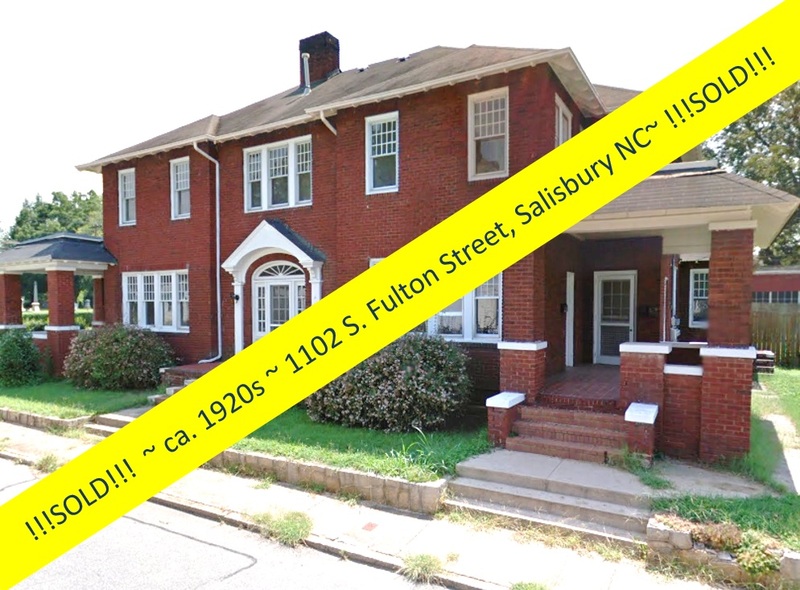 The c. 1919 Stokes-Snider House is one of Salisbury’s finest homes. Originally home to Dr. J. Ernest Stokes, one of the South’s eminent surgeons, the property still features his former medical office, most recently used as a potting shed. 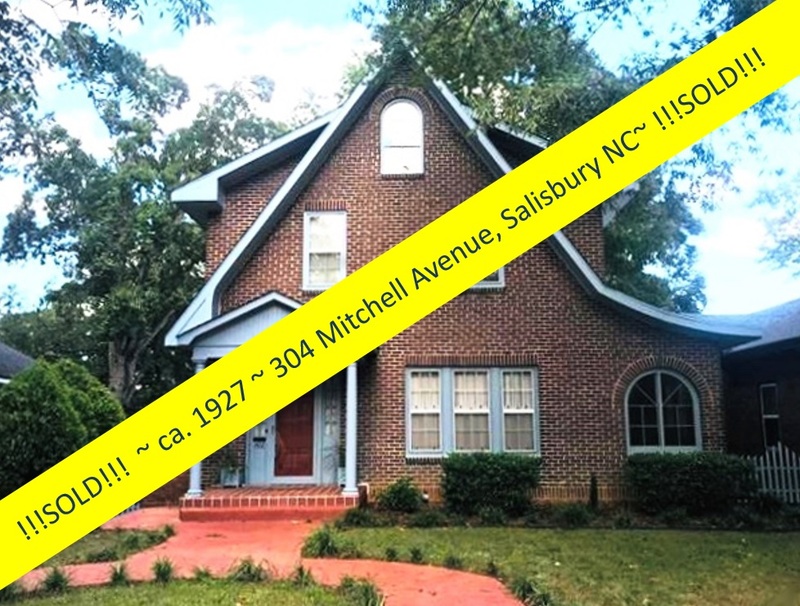 Dr. John Whitehead invited Stokes to Salisbury in 1899, and together they championed the Whitehead-Stokes Sanitorium, which grew over the years to a 60-bed hospital at the corner of North Fulton and Liberty streets, a block away from the house. 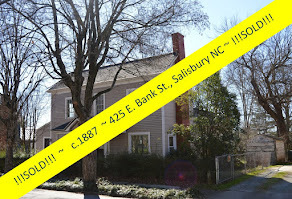 The Historic Salisbury Foundation made renovations in their efforts to sell this large, prominent home to the right buyer. 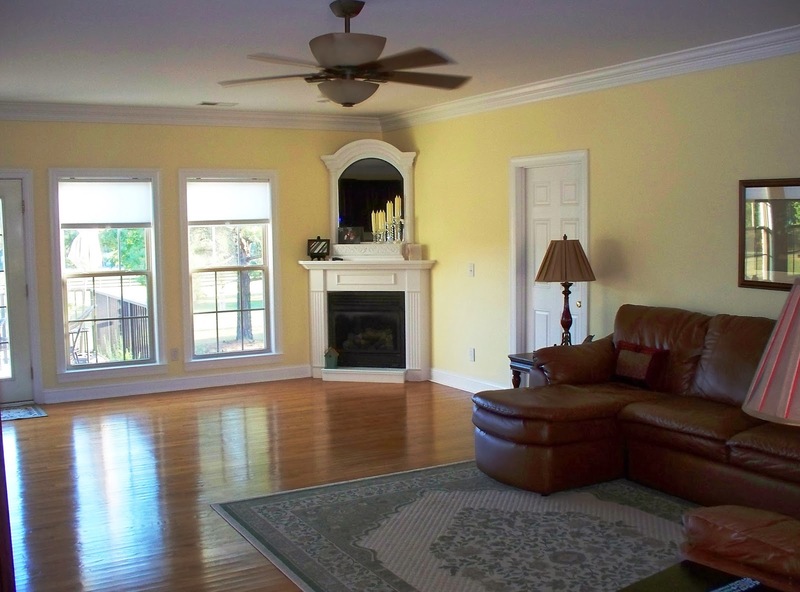 The Foundation refinished the quarter-sawn oak floors throughout the first floor. 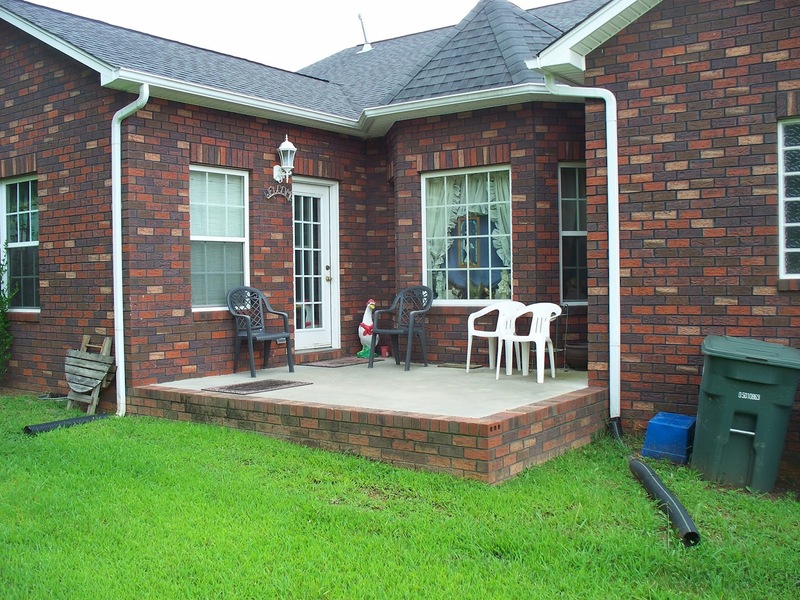 They repainted and repaired much of the outside of the home, trimmed back shrubs, and gave it the curb appeal critical to selling any home or building. 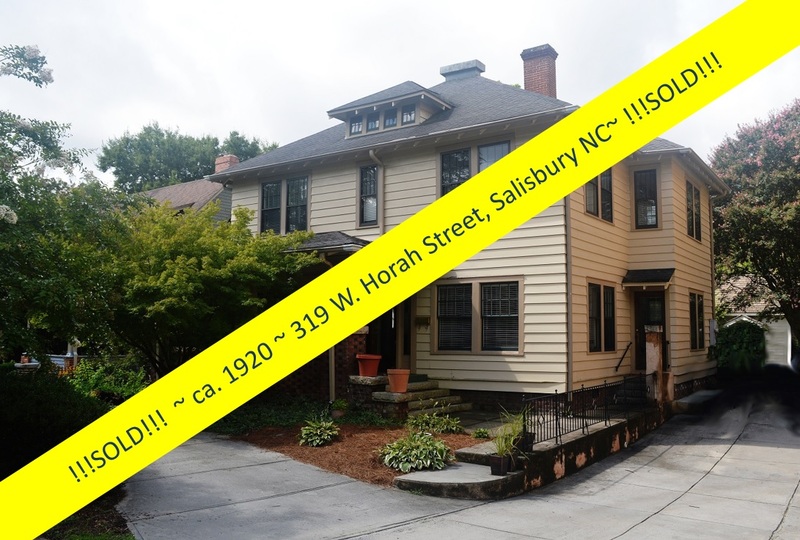 The Historic Salisbury Foundation hosted two weekend events at the Stokes-Snider House, in hopes of attracting a buyer. 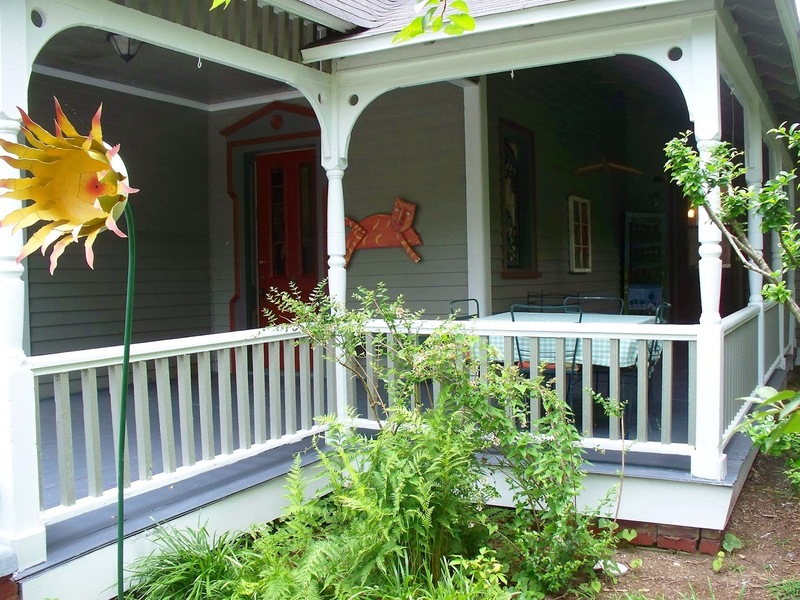 About 170 people attended a cocktail party fundraiser, and close to 70 people browsed during a Sunday open house. 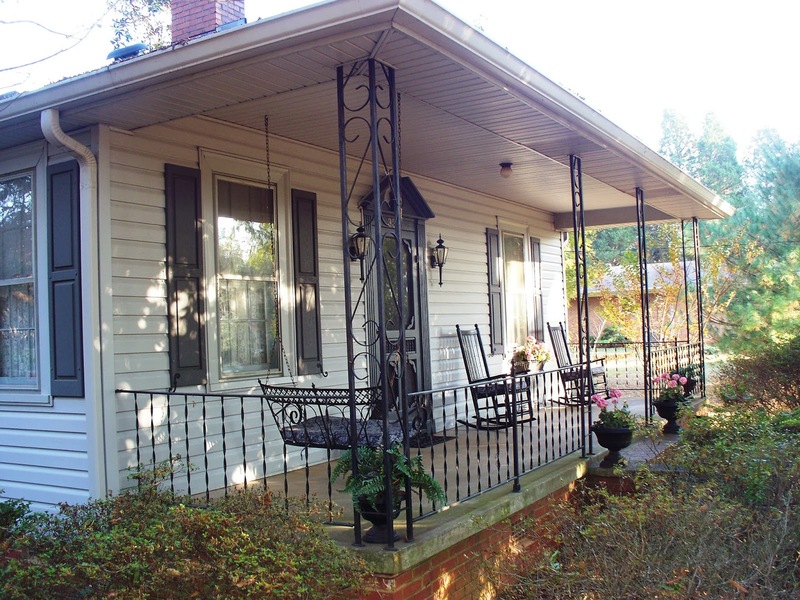 Several volunteers using furnishings from local businesses staged the house, which was vacant and had been donated to the Foundation. 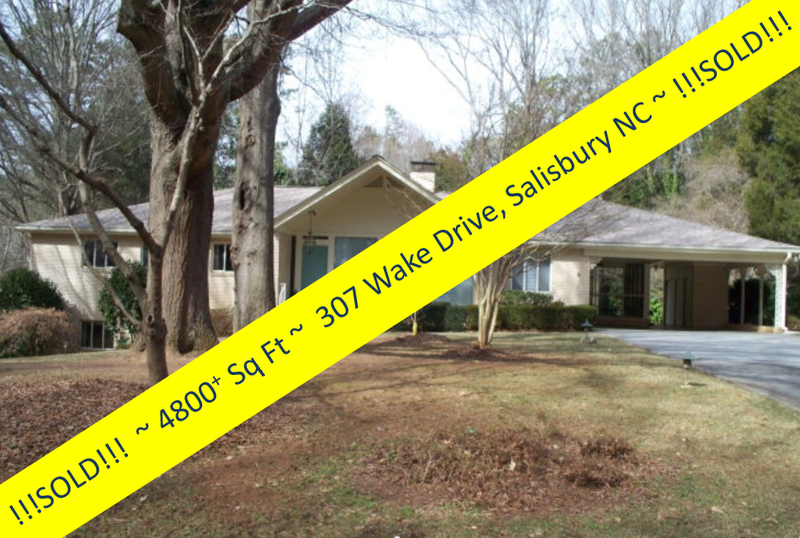 Yet, the 4,700-square-foot home remained vacant and on the market…for several years. 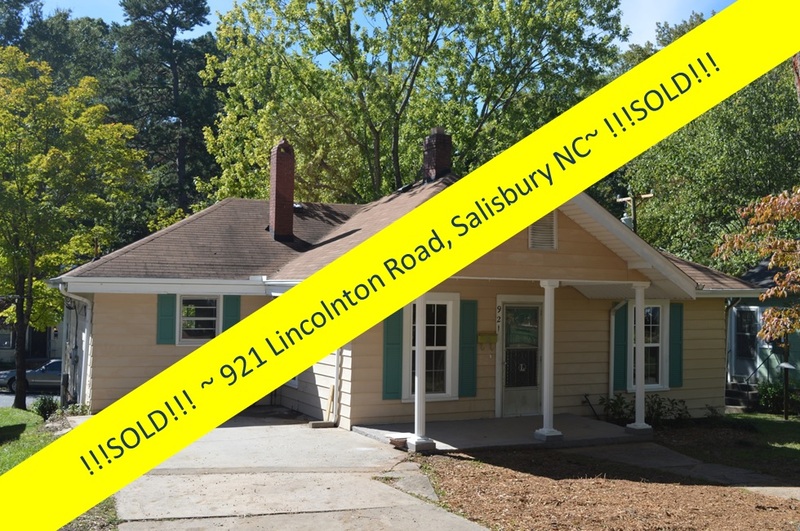 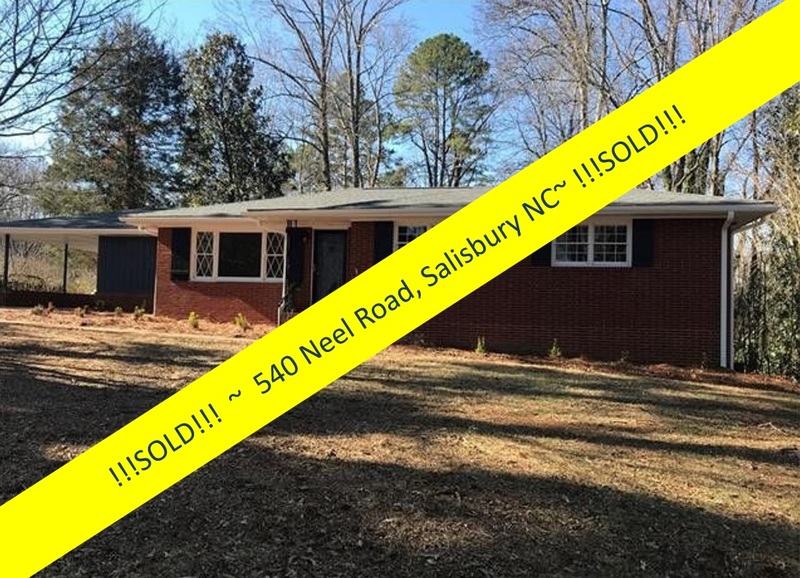 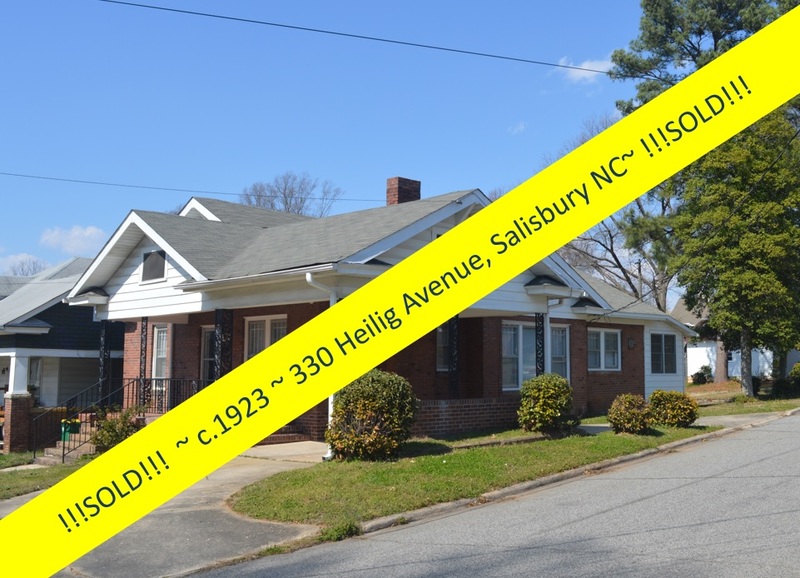 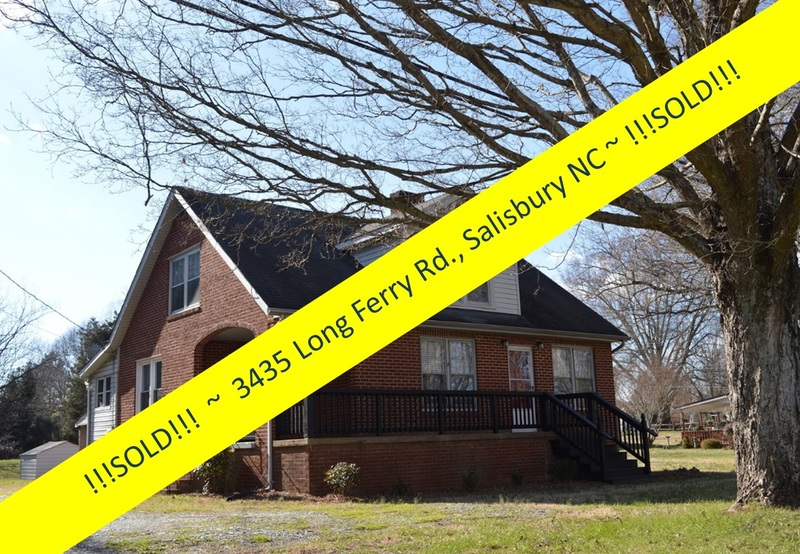 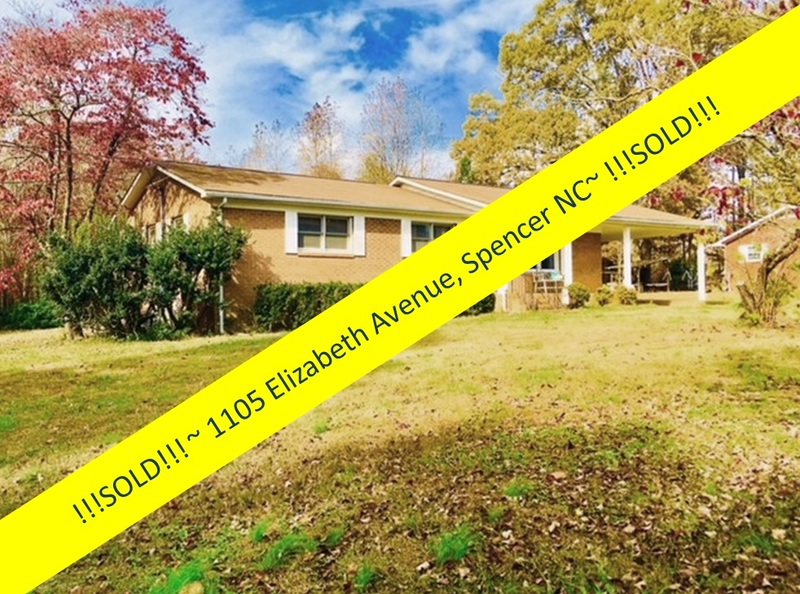 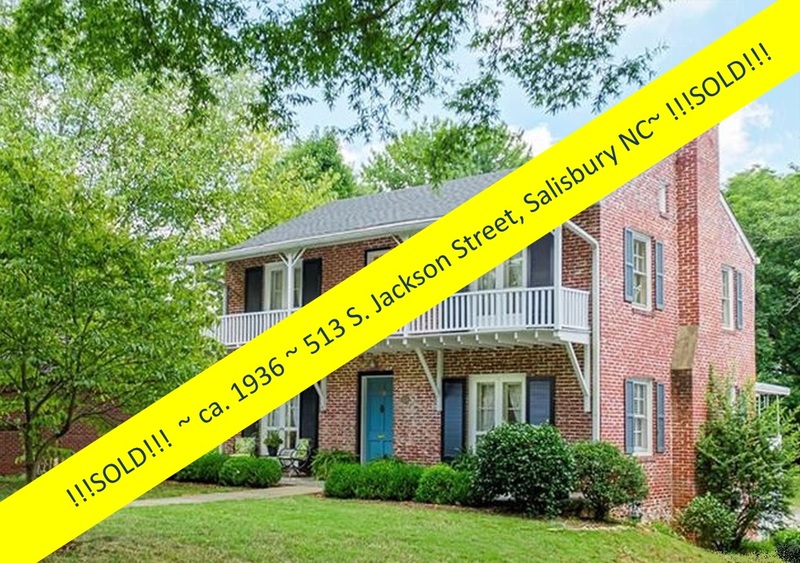 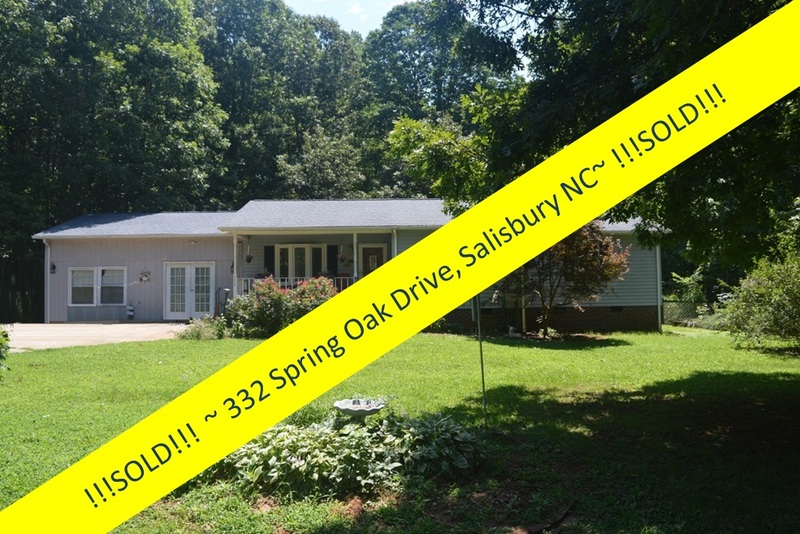 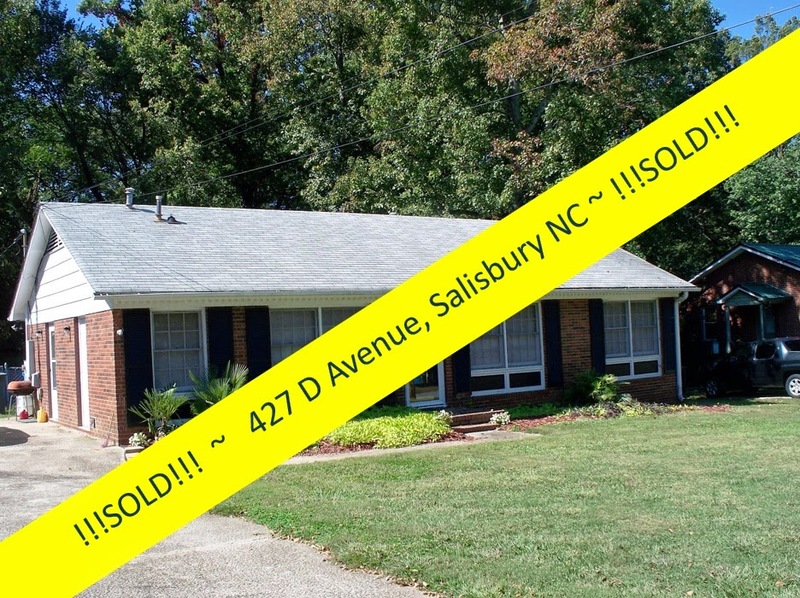 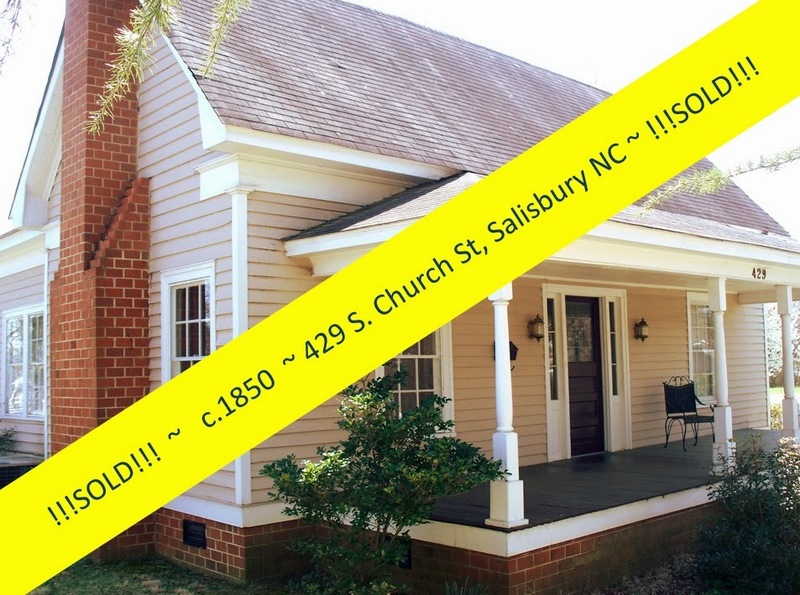 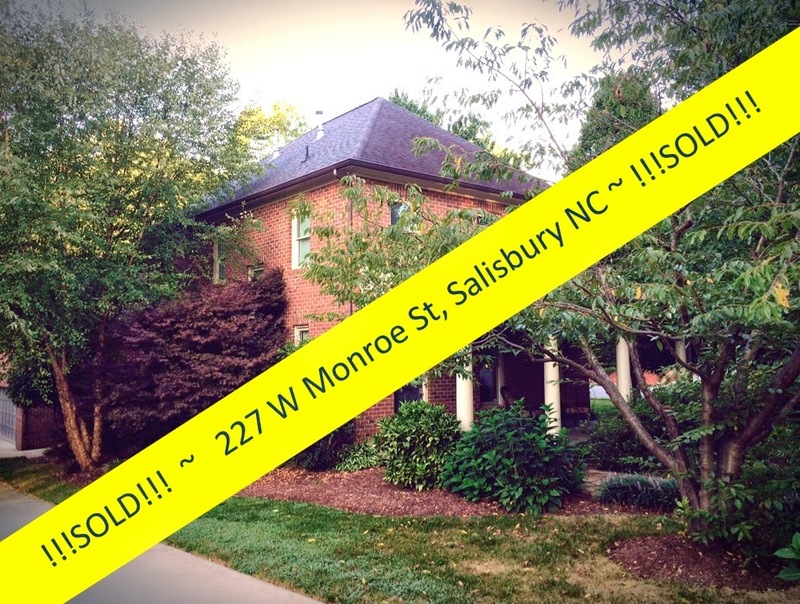 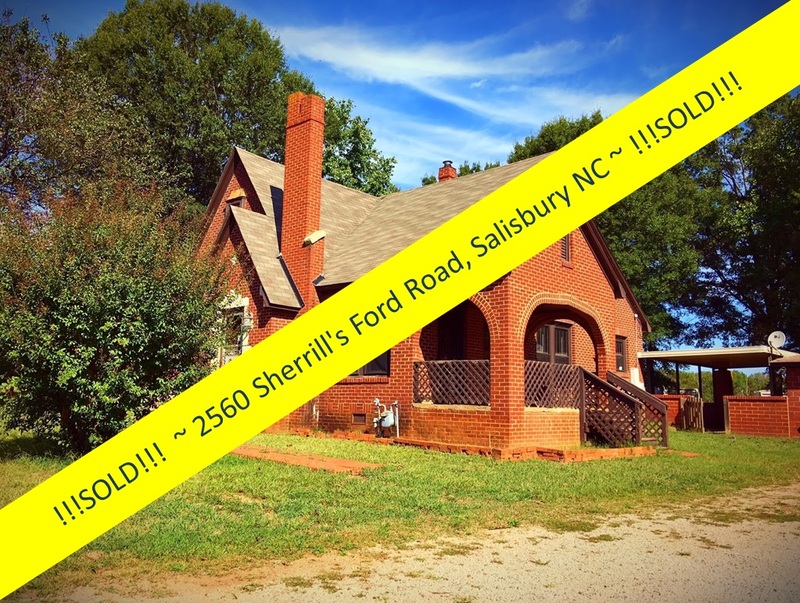 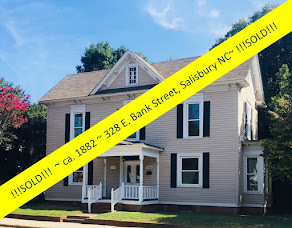 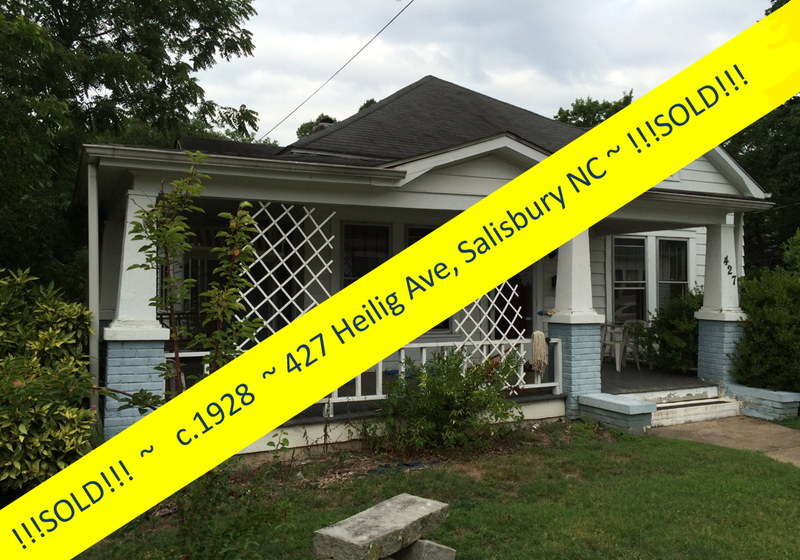 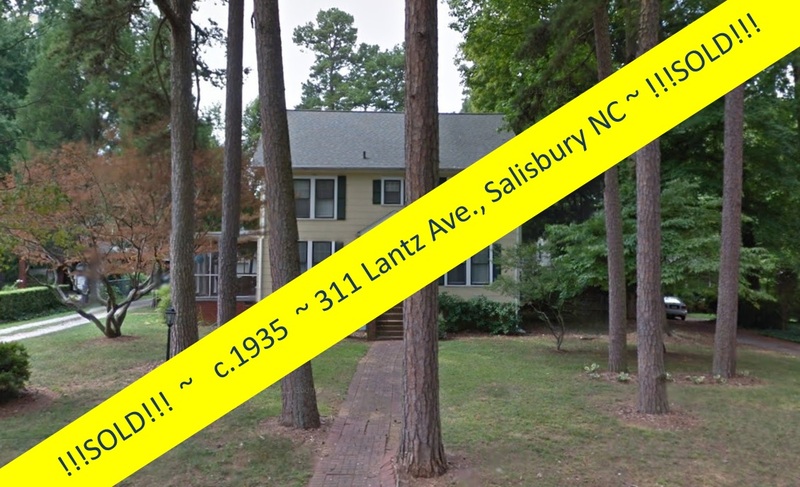 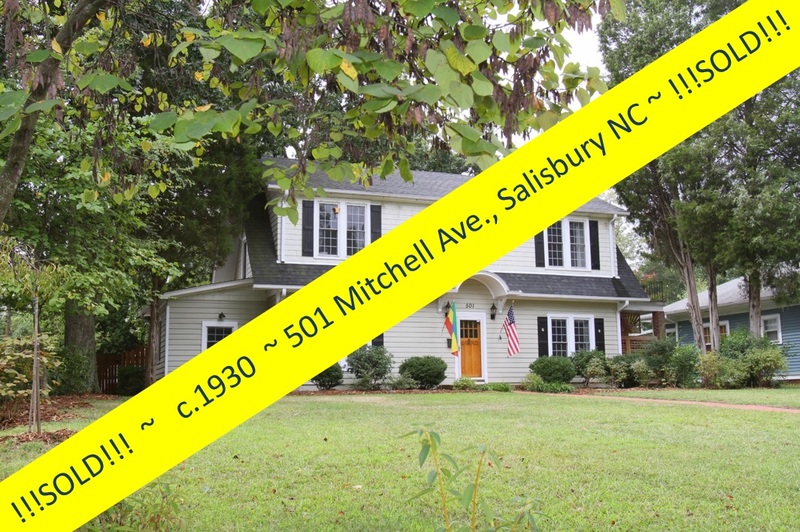 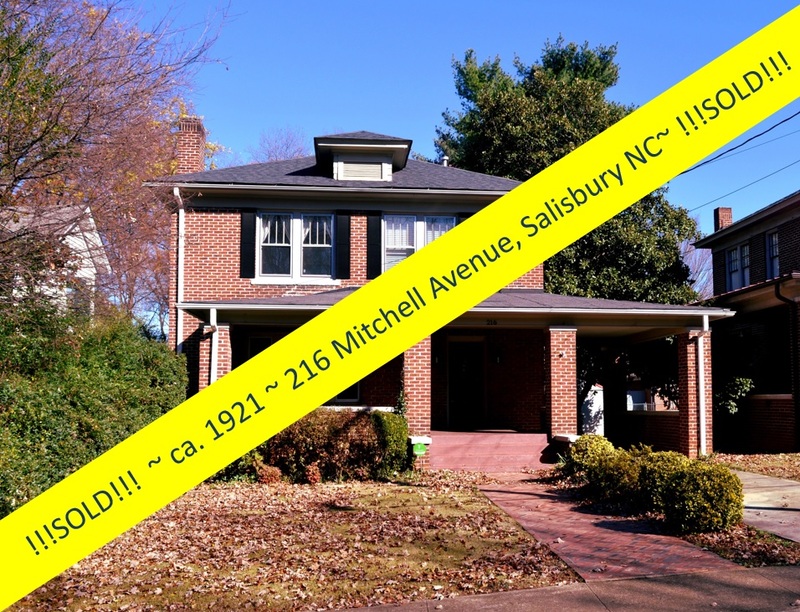 Salisbury Realtor® Greg Rapp, with his enthusiasm and general knowledge and love of older homes, was dedicated to finding the right buyer for this important property. 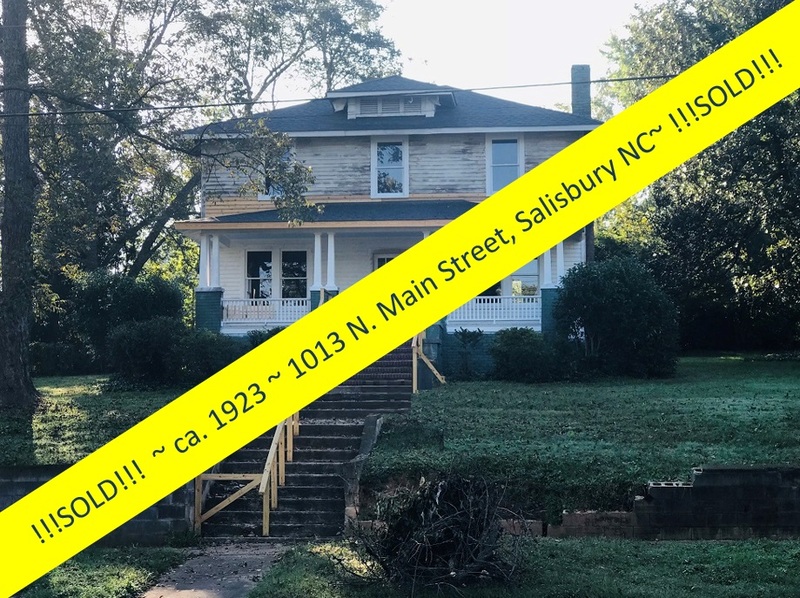 When Andy and Mary Walker of the Pittsburgh area, and originally from Great Britain, found Greg through his online presence in the real estate market, he was pretty sure he had found the match Historic Salisbury had been waiting for. 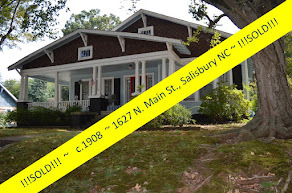 Andy and Mary’s dream was to open a Bed & Breakfast in a large historic or antique home, and they contacted Greg through his online real estate presence to look at the inventory of fine, large, historic homes available in the Salisbury area…. 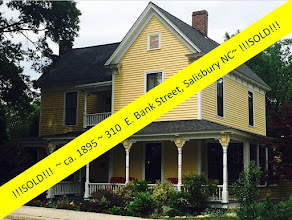 Greg Rapp guided the Walker’s through their purchase of the Stokes-Snider House in June 2013, and they moved to Salisbury NC to began the massive upfit to the historic home. 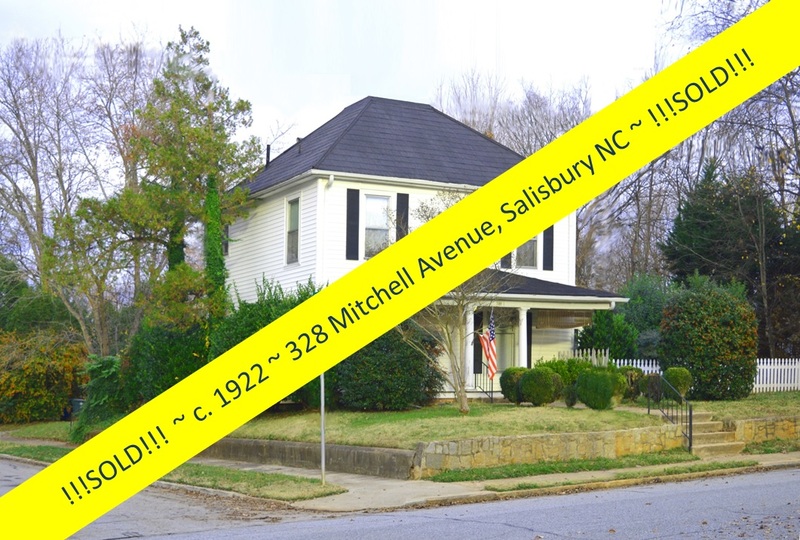 Working with Central Piedmont Builders (www.cpbuilders.com) with approval from the Historic Salisbury Foundation, they began the work in earnest to mold circa 1919 bedrooms into guest suites with full baths, install new high-end HVAC with multiple zones throughout the house, and to renovate the outdated kitchen. 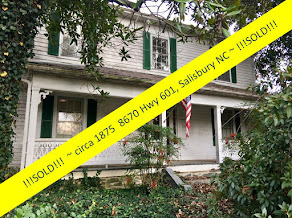 Andy and Mary rented the home across the street from the Stokes-Snider house, The Woodson House (also for sale - contact Wallace Realty) while they managed the restoration and upfit. 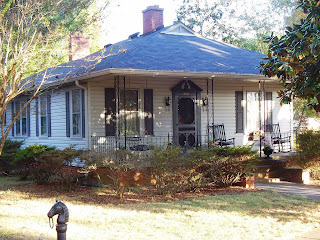 Withing just 5 months, in November 2013, the Walkers moved into the Stokes-Snider House to get ready to open their Bed & Breakfast ~ Across the Pond ~ at 324 N Fulton Street. 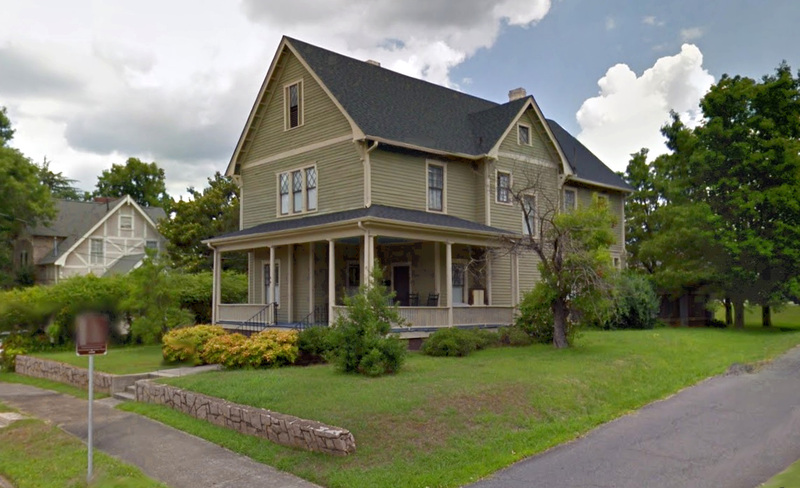 Plans are well under way to open Across the Pond Bed & Breakfast, named in honor of the Walker's British heritage, for business in early 2014. 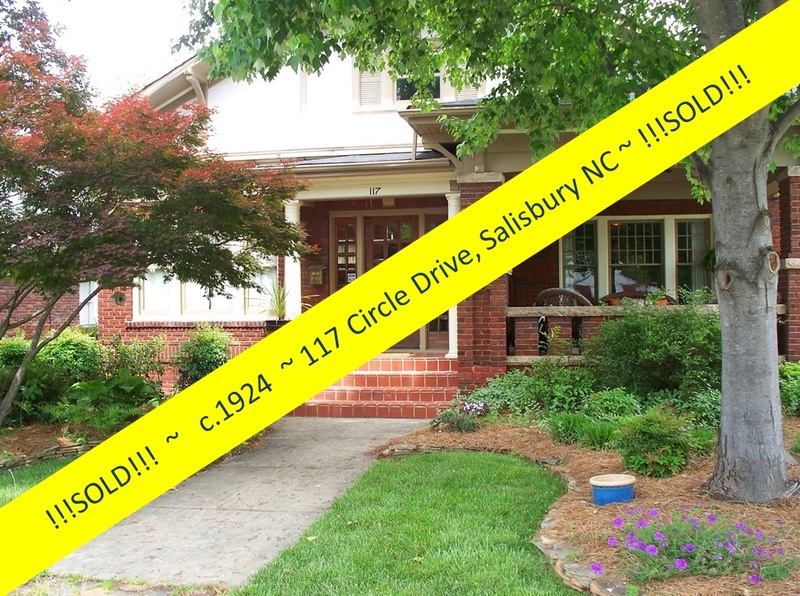 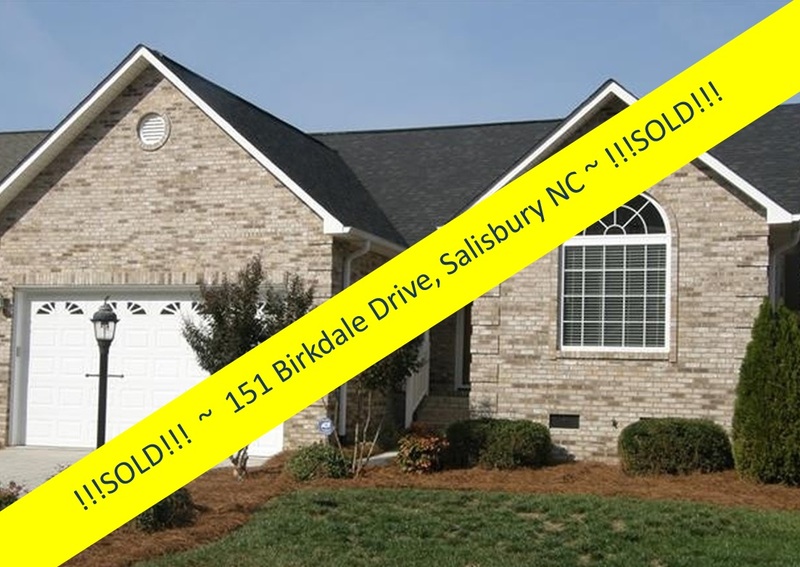 "Our experience with Greg Rapp was excellent from the first day we visited Salisbury. 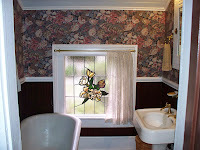 We were interested in finding an historic home and found very useful information through Greg's listings on www.oldhouses.com . 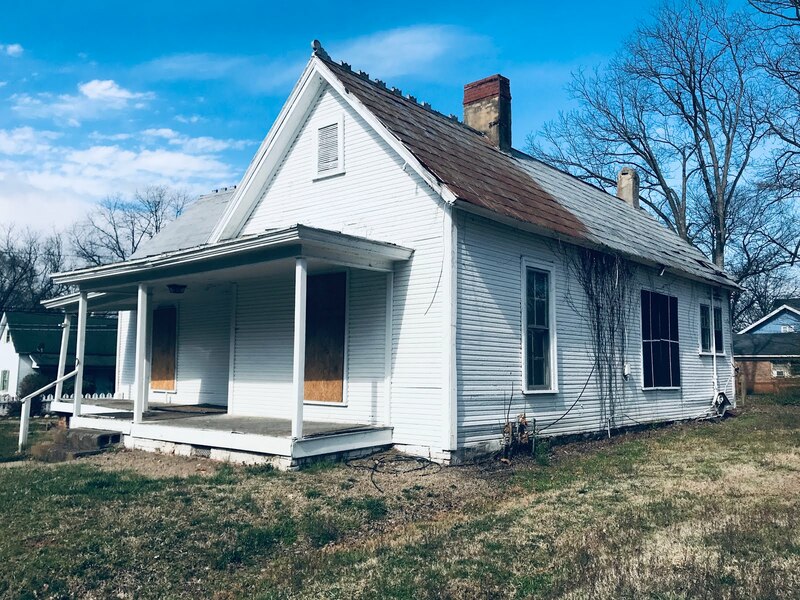 Greg is passionate about preserving and restoring historic homes and was able to show us a variety of these homes that were on the market. 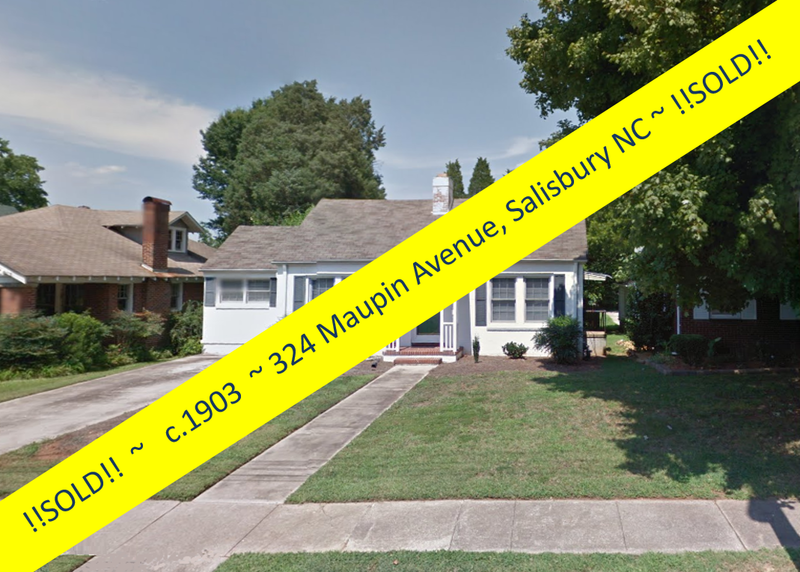 He was also a great resource in answering the many questions we had about the town of Salisbury and always responded to phone calls, emails, and texts in a timely fashion. 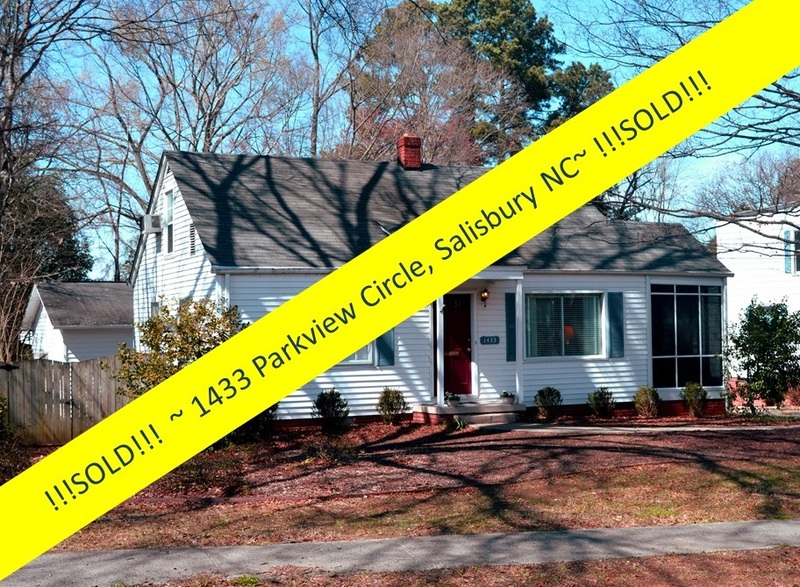 Once we found the house we wanted, he was instrumental in guiding us through the important steps of making an offer, negotiating the final price, and helping us through the final stages to our closing. 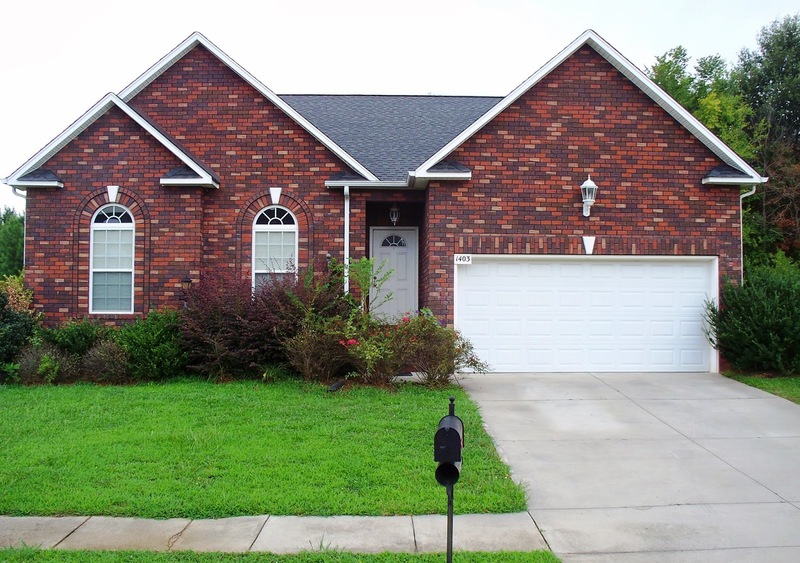 He was very sensitive to our time-frame and showed great professionalism and care during the closing process. 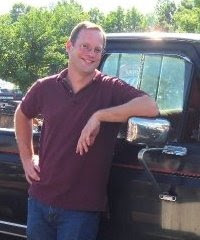 Greg has a great personality and continues to help us now we have relocated from out of state. 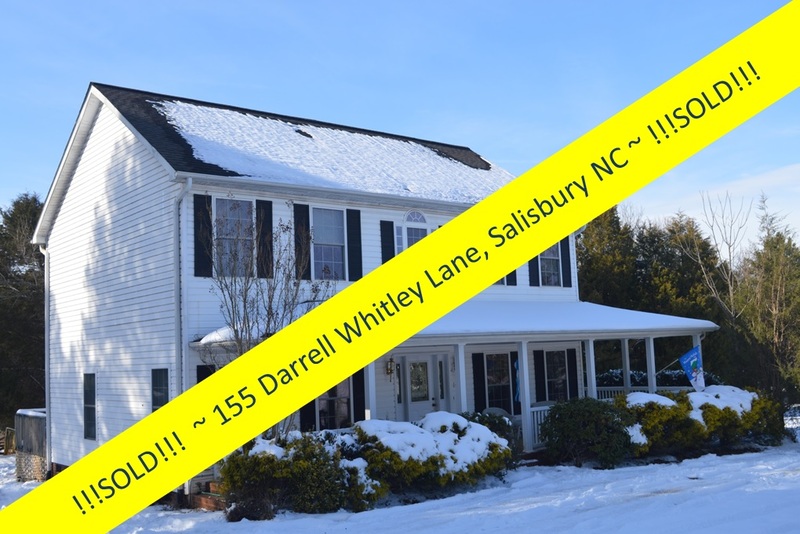 We highly recommend Greg Rapp to anyone looking for a home in Salisbury and feel confident that we made the right choice in using him and Wallace Realty." 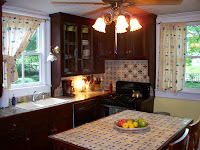 and the large, airy kitchen, complete with pantry and farmhouse sink.. .
. . . .found its new purpose, thanks to Realtor® Greg Rapp, Andy and Mary Walker, and Across the Pond Bed & Breakfast. 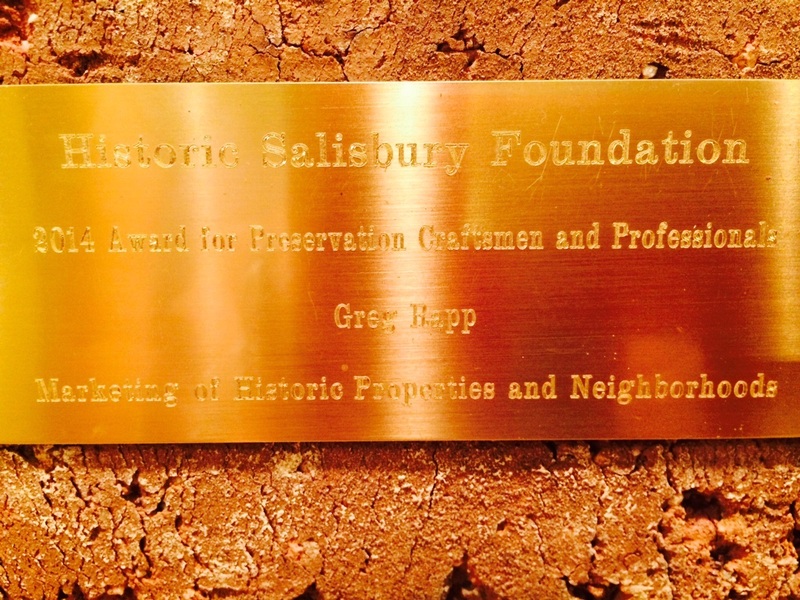 In preserving and reusing this historic structure, Across the Pond demonstrates how sustainable development combined with sensitive restoration is the ultimate recycling. 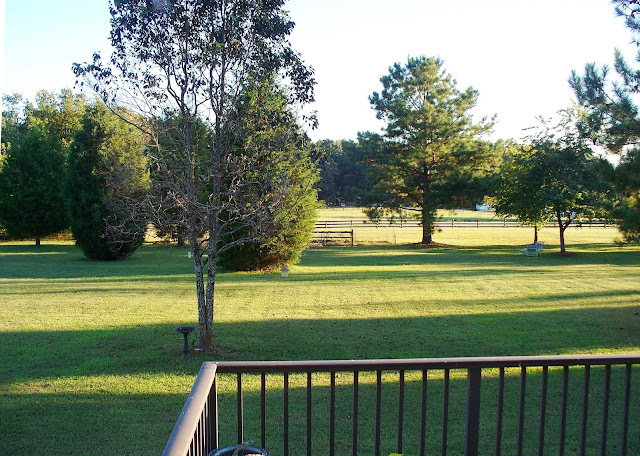 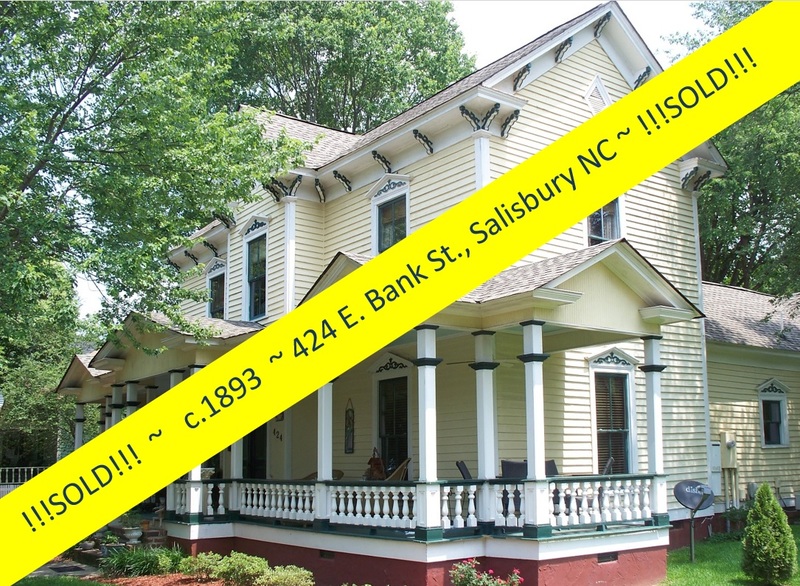 Welcome to Salisbury, North Carolina, Across the Pond Bed & Breakfast! 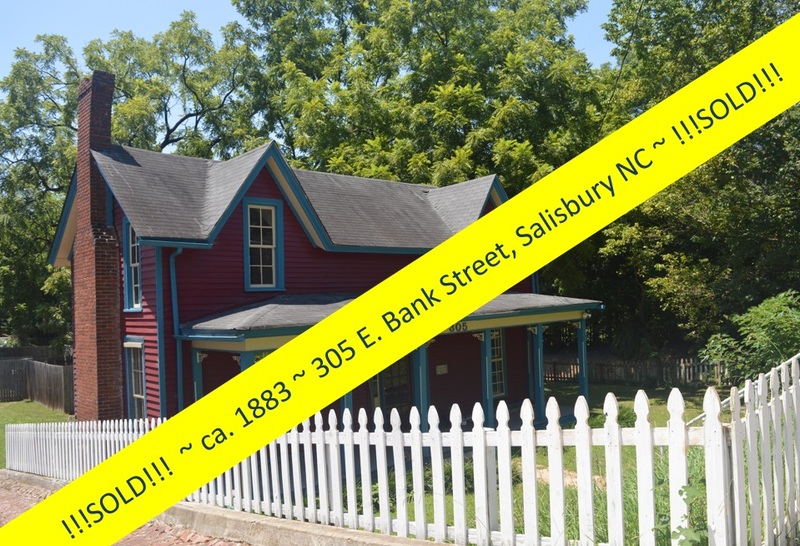 Your Chance to Own an 1800's Victorian Home ~ at an Attractive Price! 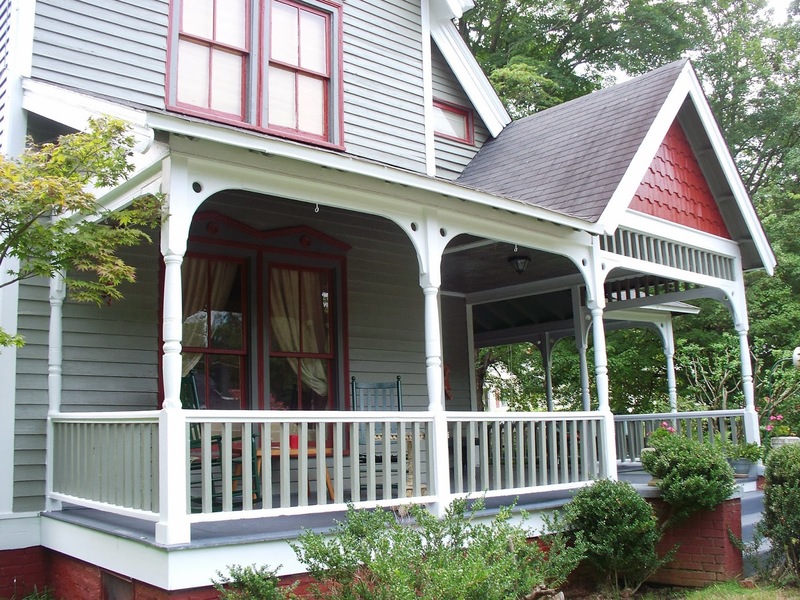 If you've always dreamt of owning an 1800's Victorian home, been inspired by their wrap-around porches, steep gabled roof lines, patterned shingles, and gingerbread trim ~ but most have been out of reach when it comes to price . 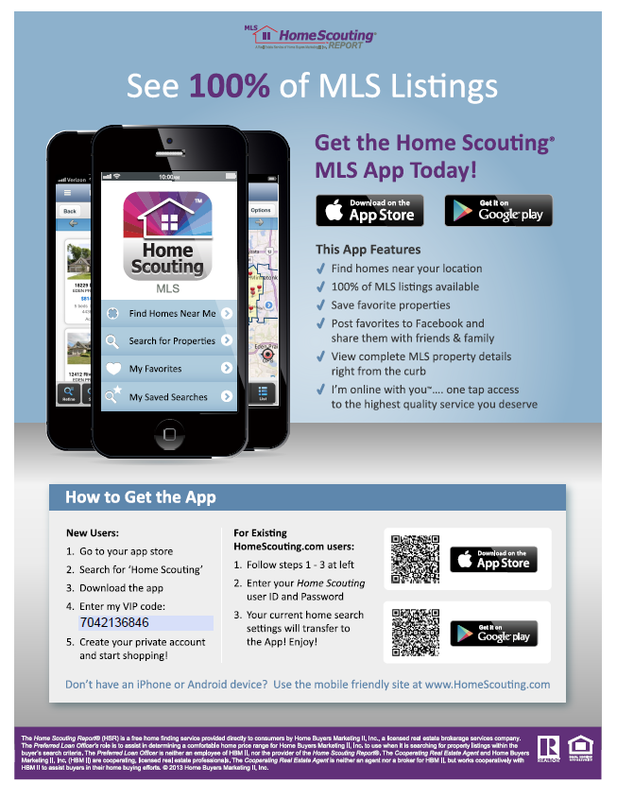 . . here is the opportunity you've been waiting for! 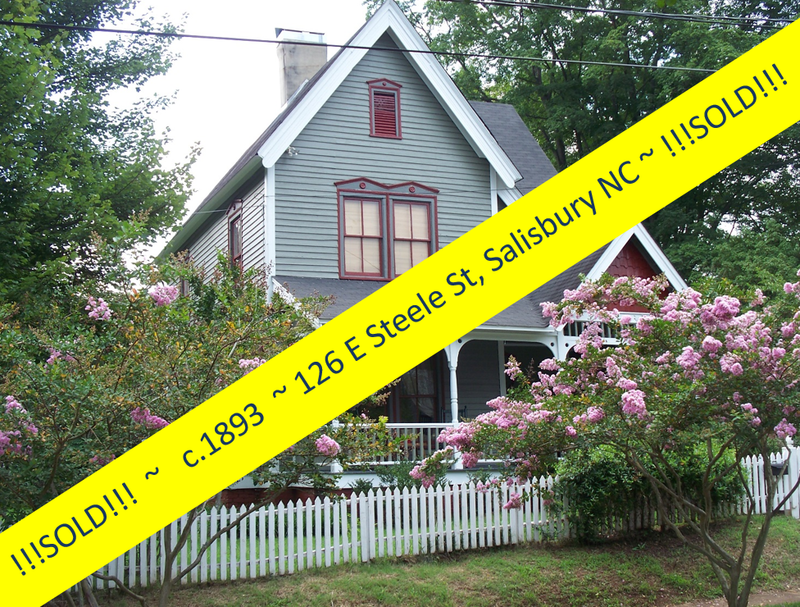 This immaculately restored 1893 Folk Victorian home, at 126 E. Steele Street in Salisbury, North Carolina, is a dream-come-true! 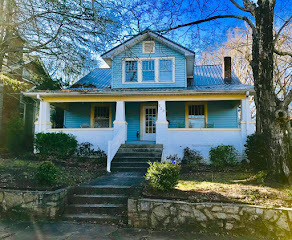 The house underwent a very thorough restoration process in the late 1990's, and boasts southern pine refinished floors, 4 original fireplaces with their original mantles, and meticulous millwork throughout the home. 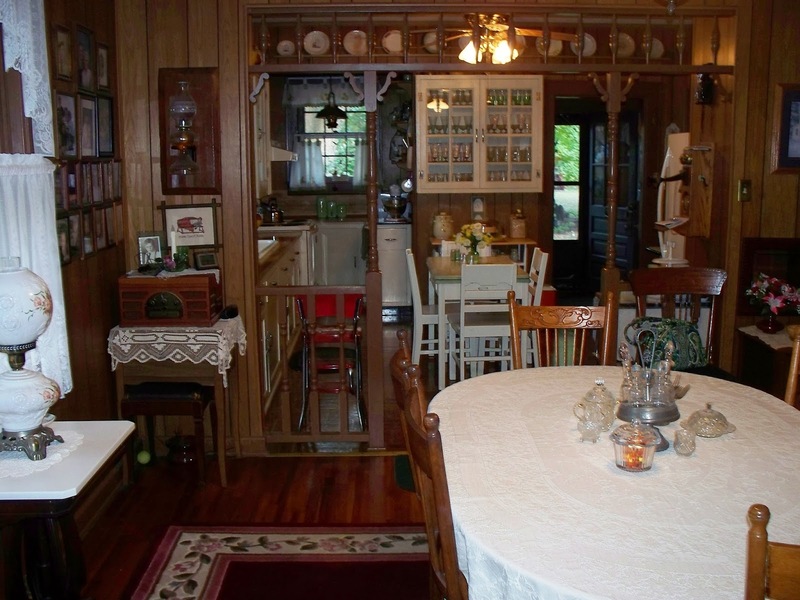 A wide mezzanine on the second story provides wonderful space for displaying antiques and books. 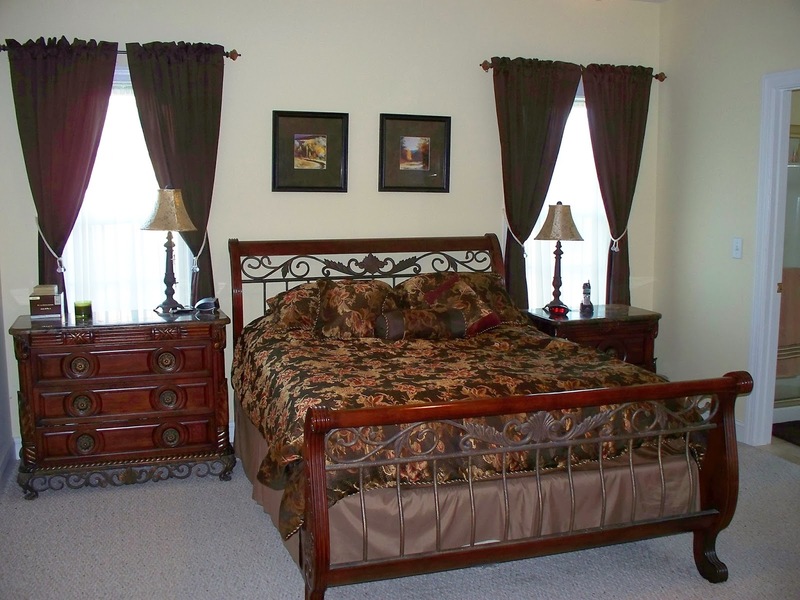 Every room features coveted 10 foot high ceilings (think that giant Christmas tree you always wanted!) 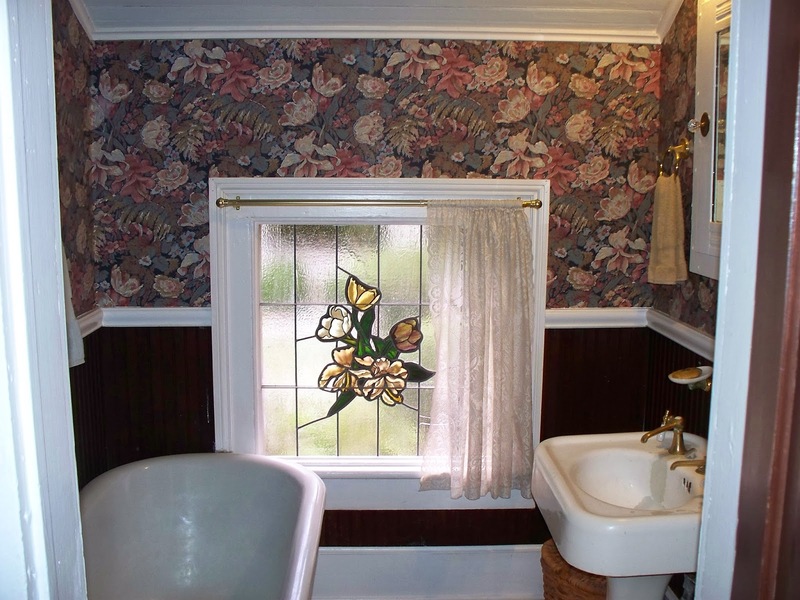 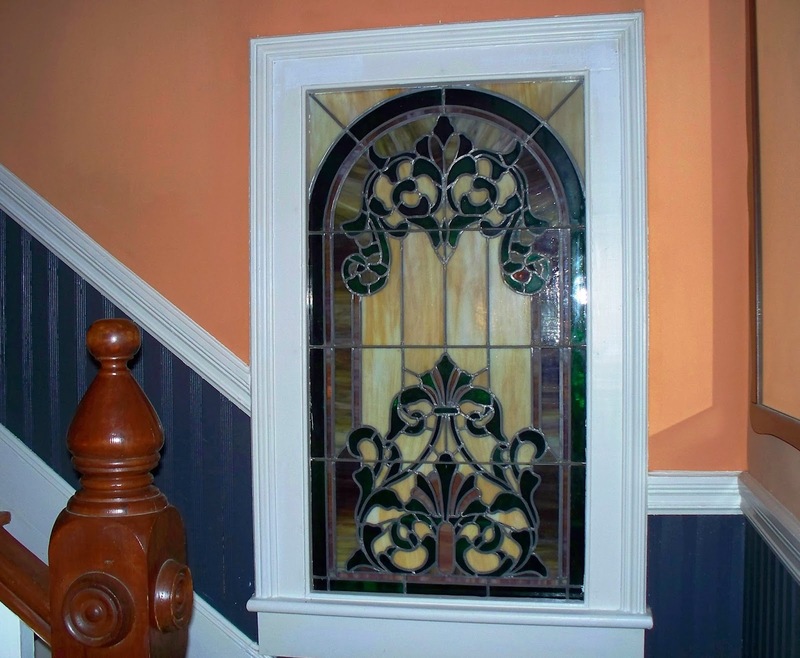 and many stained glass accents around the home, including the beautiful stained glass window in the stairwell, are also original features to the home. 126 E. Steele Street has a great spacious kitchen with tons of cabinet space, more stained glass accents, & a center work island. The kitchen door exits to the beautiful, shady, and private fenced-in back yard. The nearly 500 square feet of wrap around porch might be the home's crowning touch, providing loads of space for entertaining or just relaxing in the shade of the eaves. 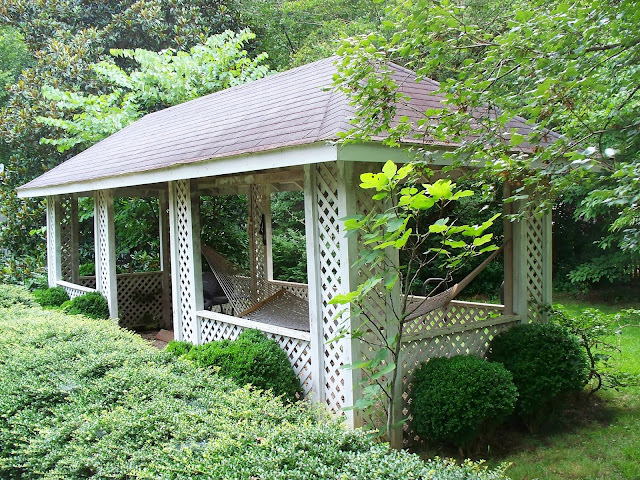 But many will consider the white picket fence, the American Dream, that surrounds the 1/2 acre property that holds a gorgeous gazebo and another outbuilding (formerly a garage ~ but would make wonderful gardener's or artist's cottage! 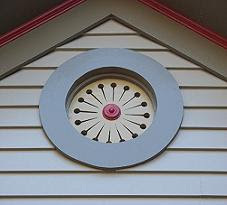 ), the crowning feature. The landscape features blooming crepe myrtles, boxwood shrubs, and many mature shade trees! 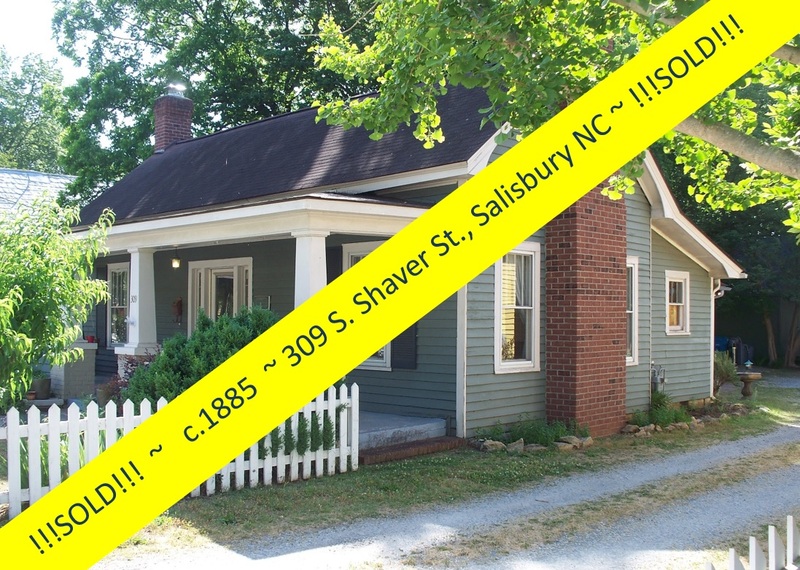 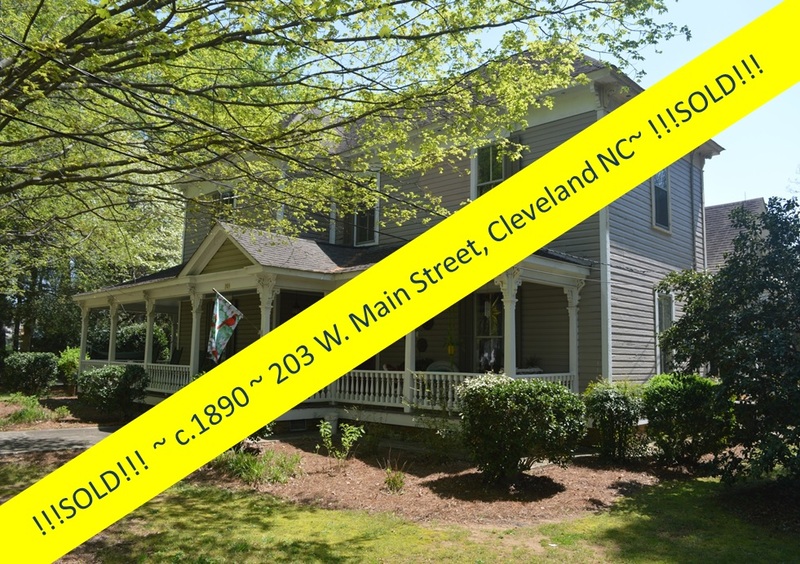 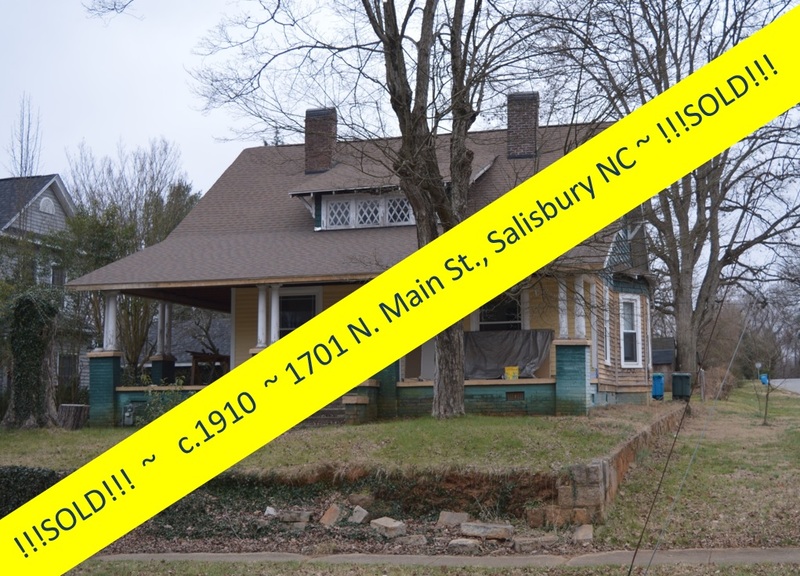 This freshly painted 1893, 2000+ square-foot home, known locally as the Mary Steele Scales House (Historic Salisbury covenants and restrictions convey with deed and are recorded on Rowan County Deed book), is for sale at the astoundingly conservative price of just $144,900! 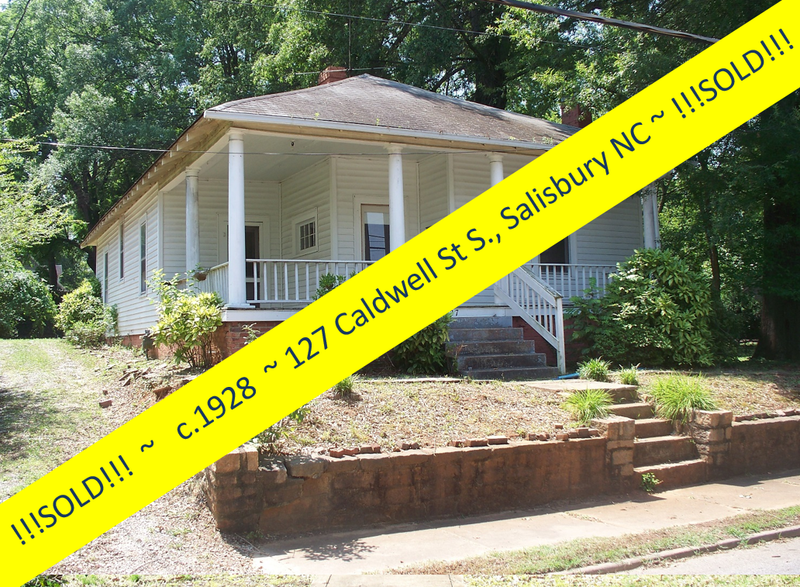 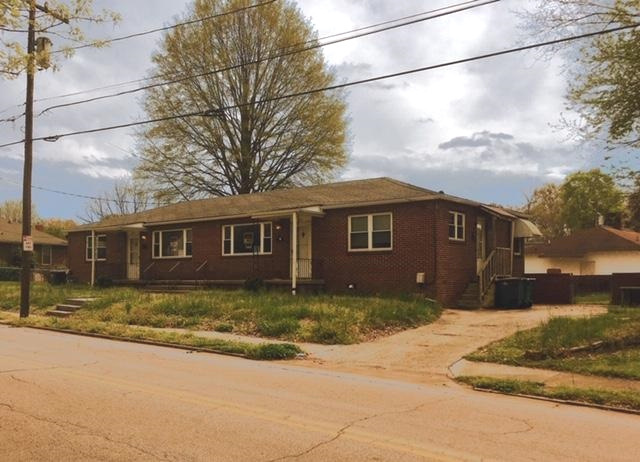 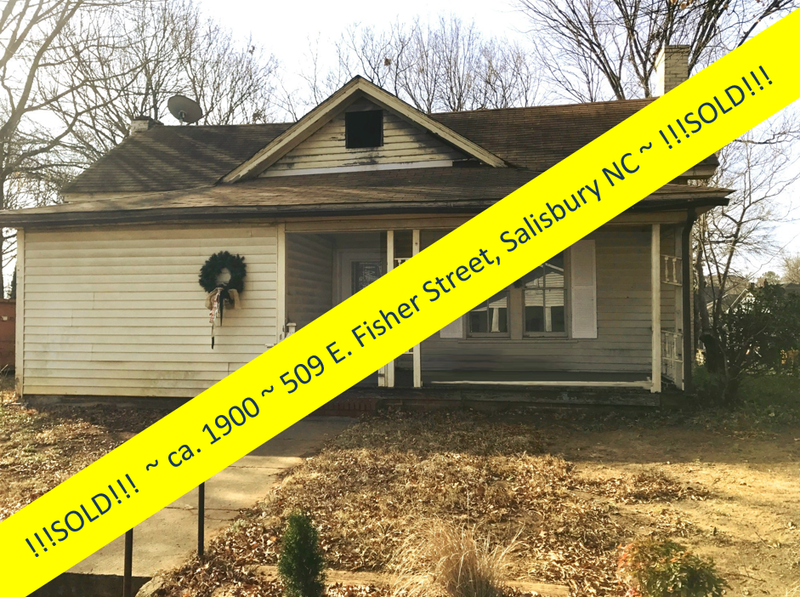 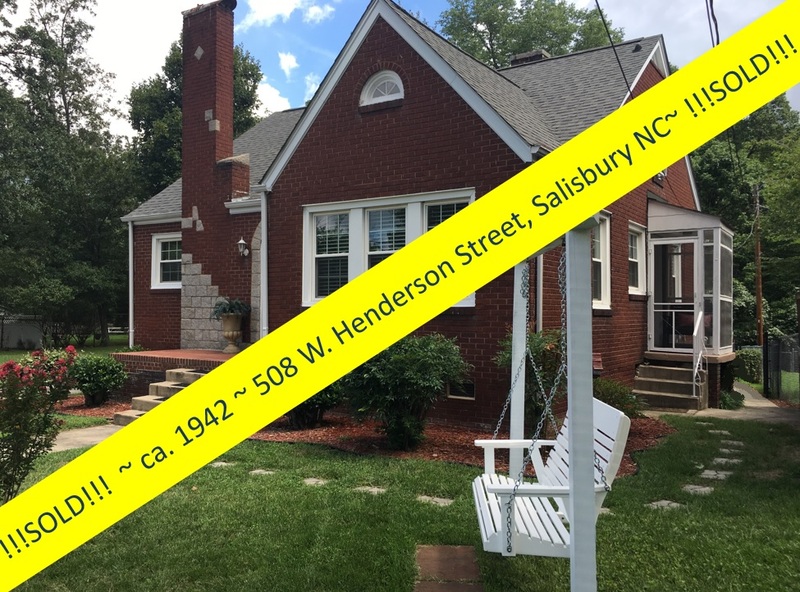 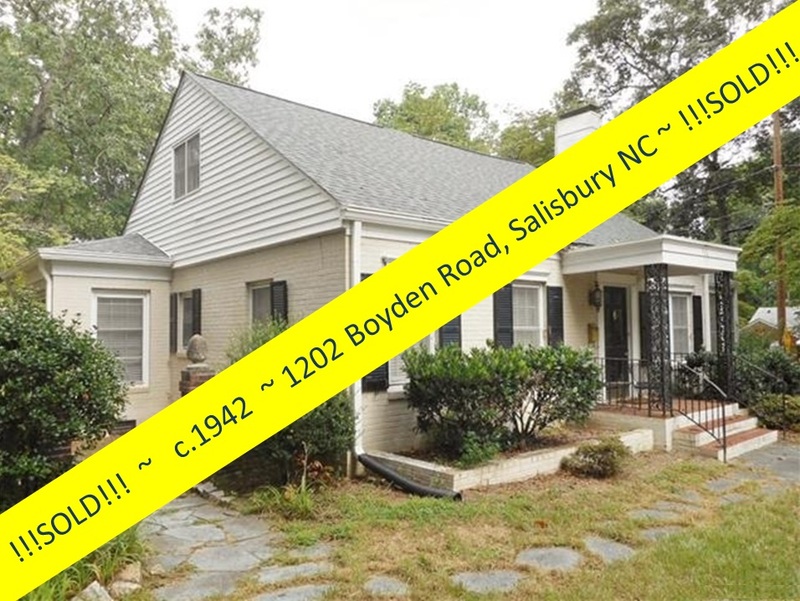 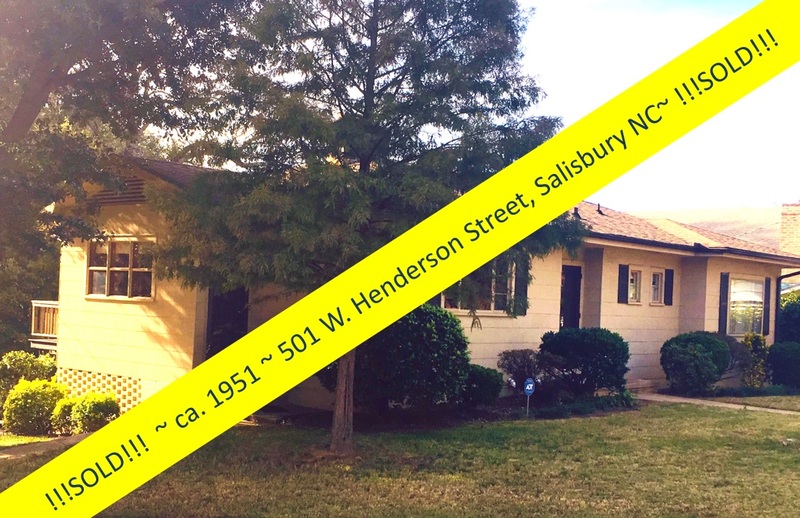 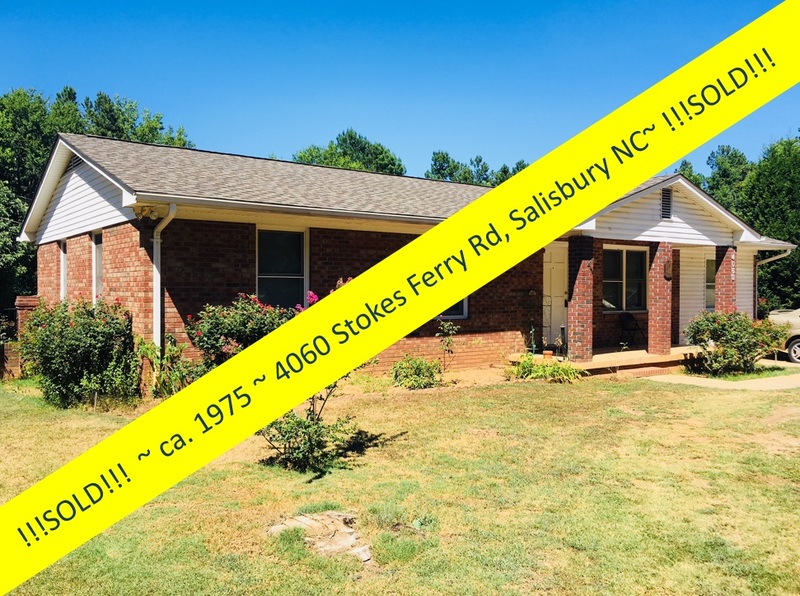 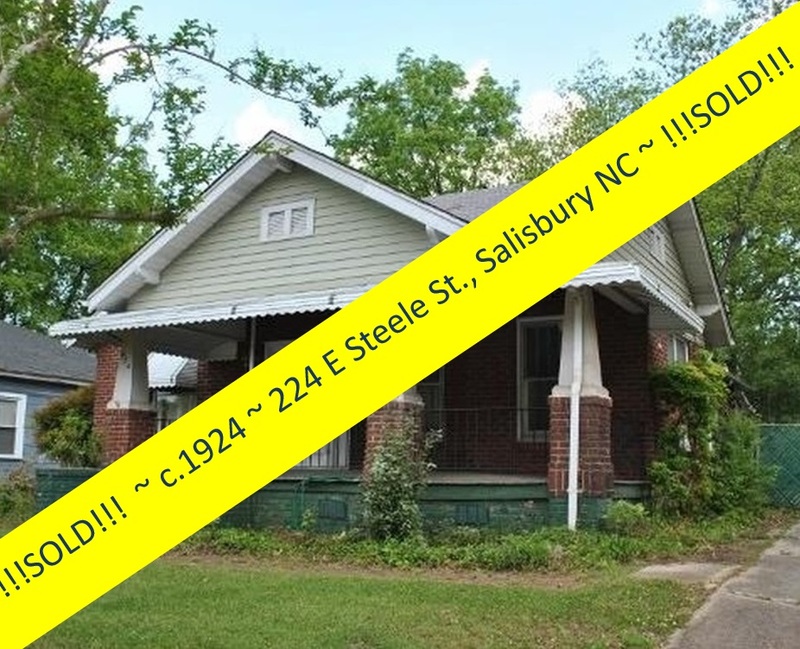 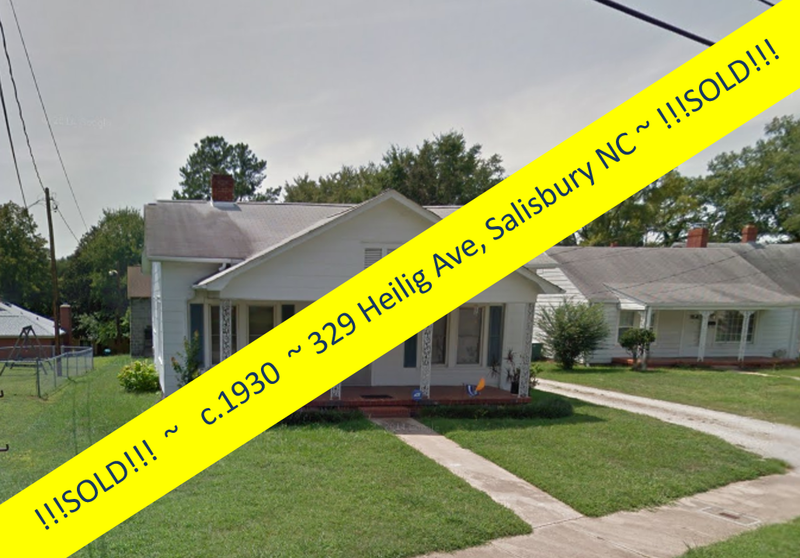 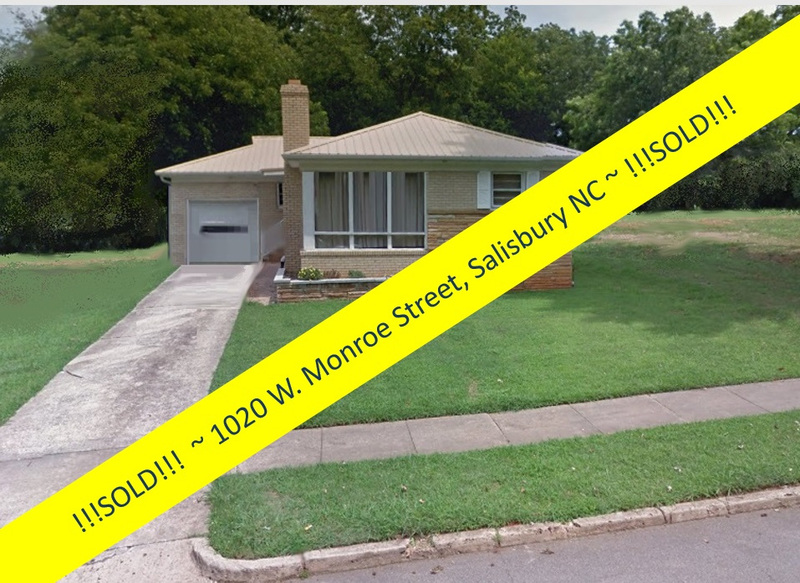 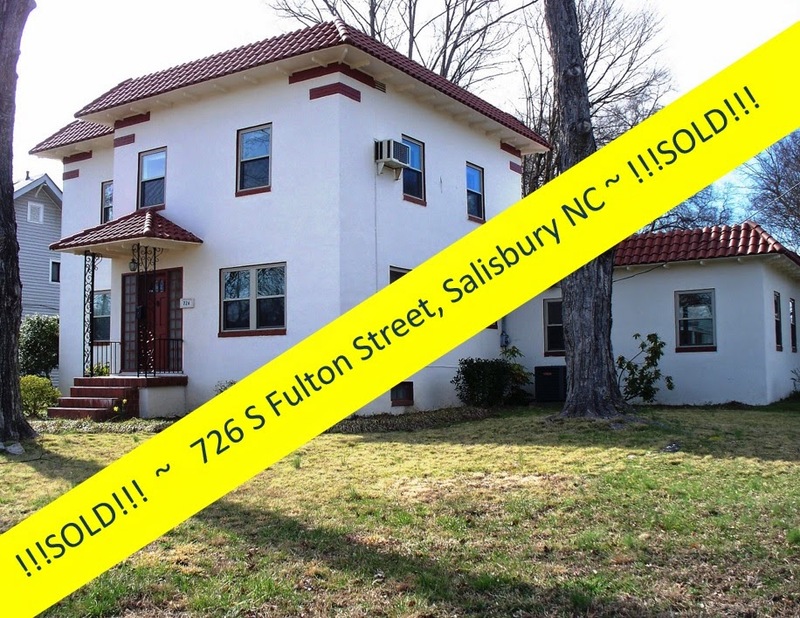 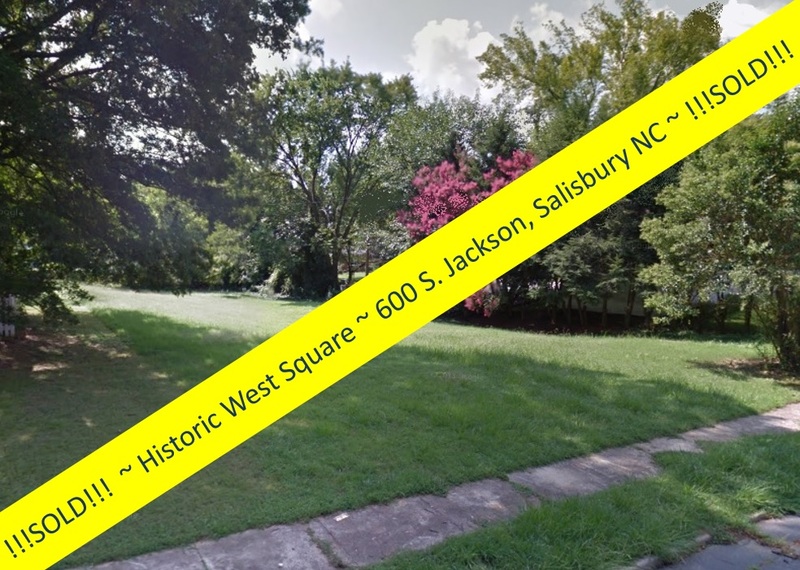 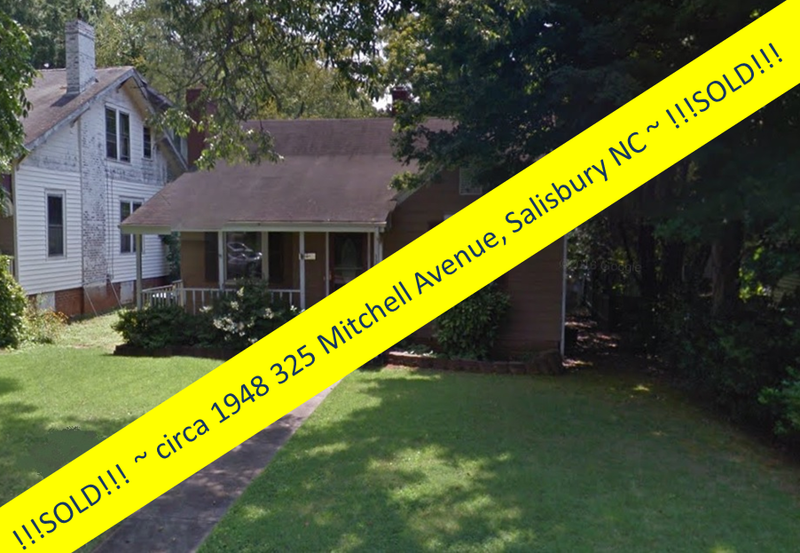 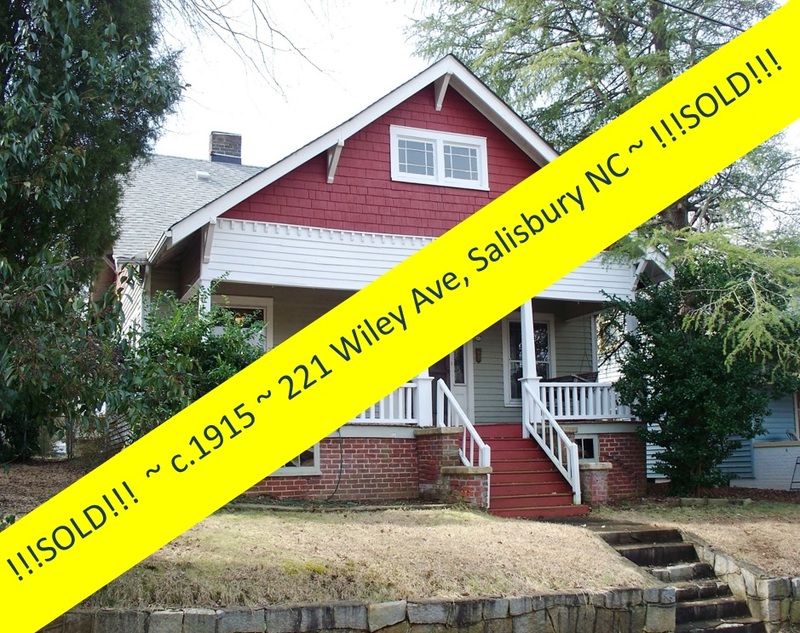 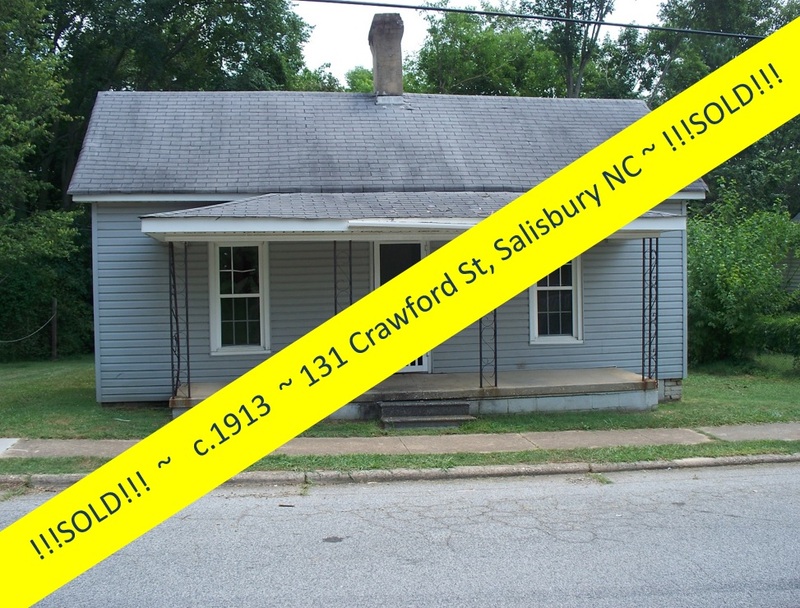 The 3-bedroom, 2-full-bath, home is located in the North Main Historic Neighborhood, just blocks from Downtown Salisbury shopping, dining, art & culture . 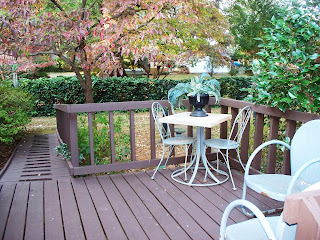 . . and is just a two block walk to two wonderful city parks ~ City Park & Hurley Park. 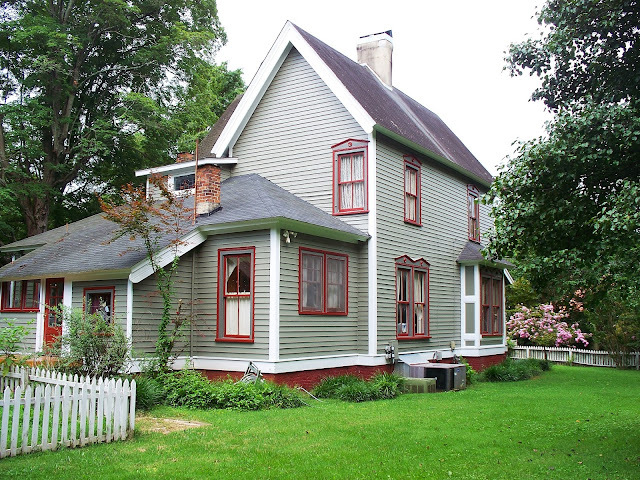 THIS is the Victorian home you've been dreaming of! 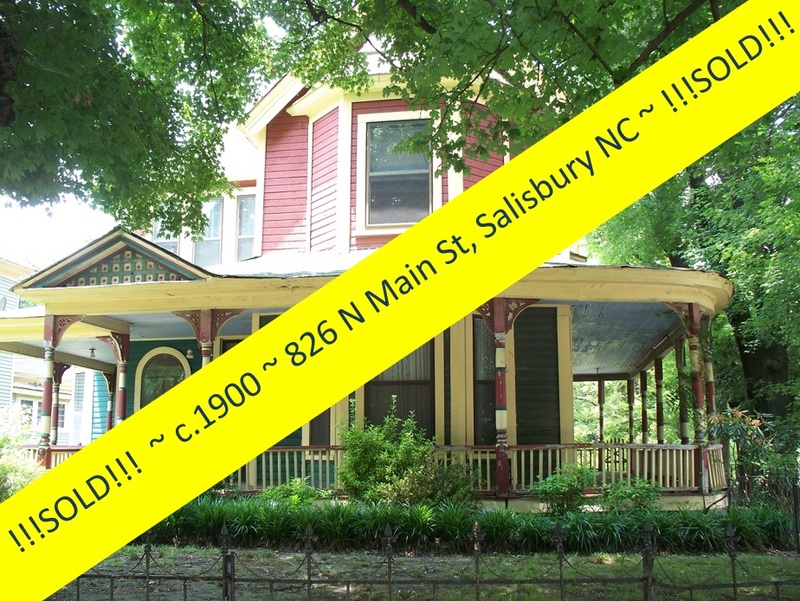 Call Salisbury Realtor® Greg Rapp at 704.213.6846 and let him take you through this fabulous Victorian home. 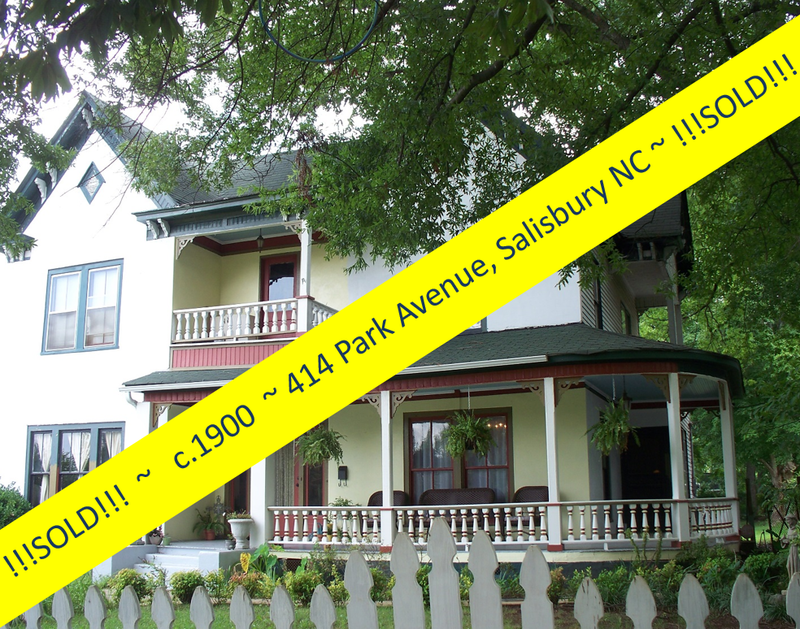 It's the historic Victorian home you've dreamt of owning ~ and now it can be yours! 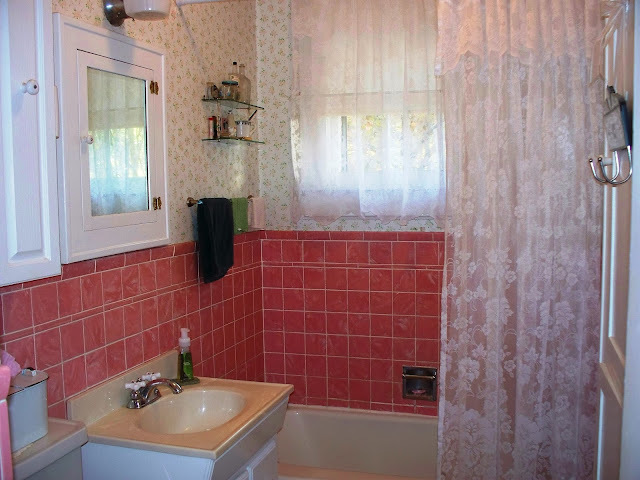 Perfect Little Country Home ~ "Grandma's Cottage" ~ Just $69K! 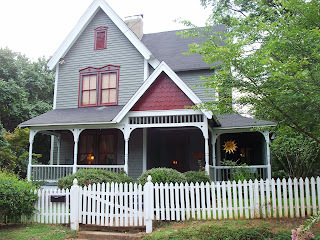 This just might be the cutest house ever! 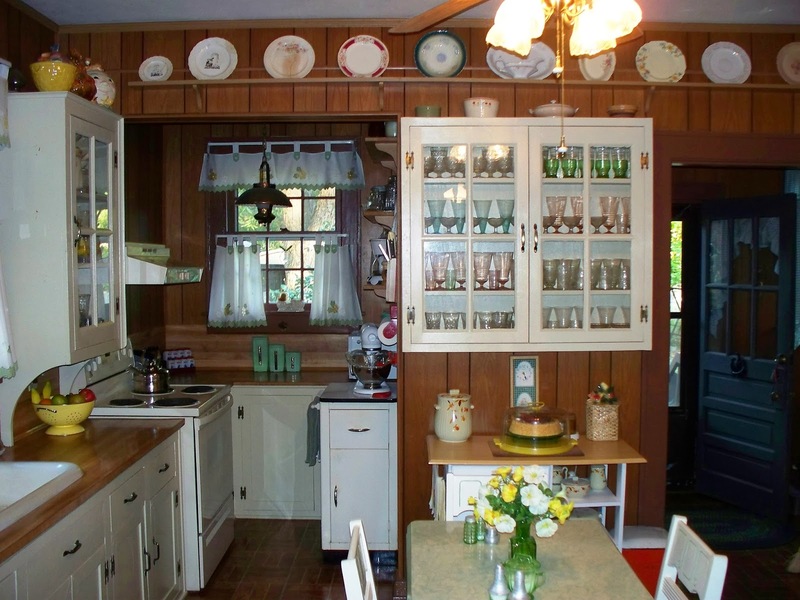 We've nicknamed it "Grandma's Cottage" ~ the woman who lived here, who recently moved closer to her children, lived here for over 40 years. 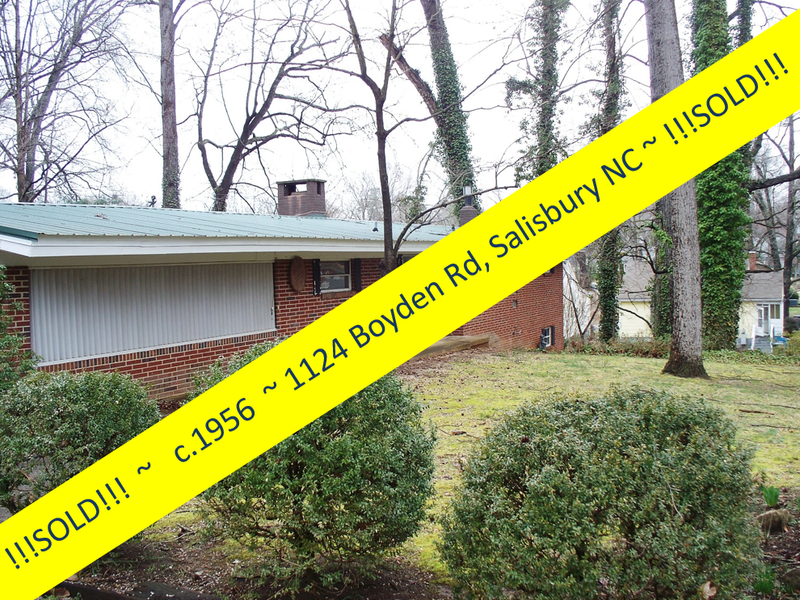 This could not be a more perfect starter home for a couple or small family, is priced right, and is in GREAT condition. 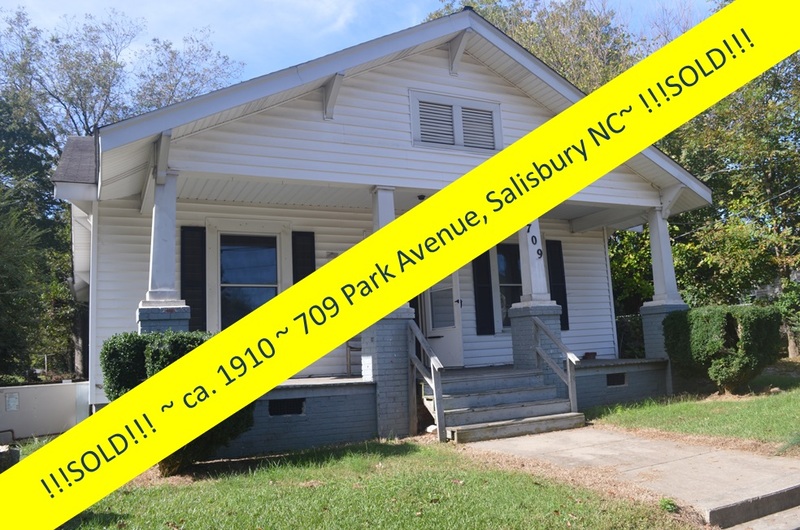 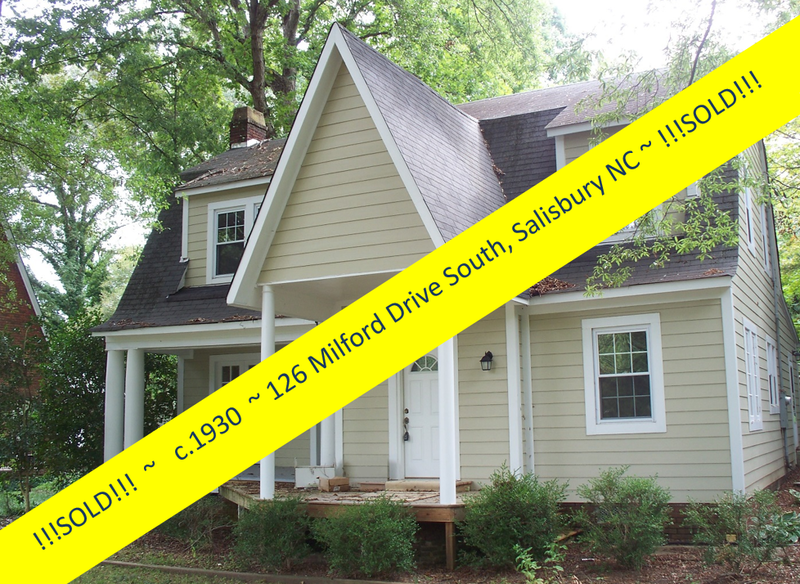 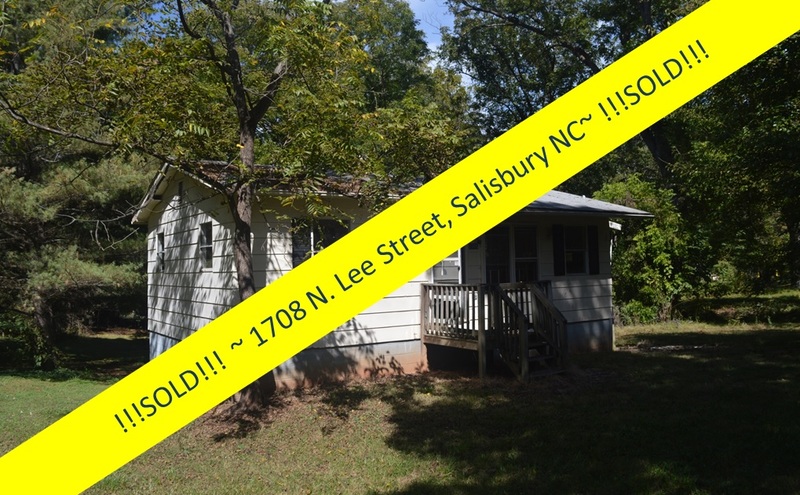 This sweet circa 1941 one-story, 2-bedroom cottage at 355 DUKEVILLE ROAD Salisbury, NC was originally part of a company village for Duke Energy. "Grandma's Cottage" is located in a country setting in what was once Dukeville Village, just off of Long Ferry Road in Salisbury NC, just out of town enough to feel like country living, but close to Salisbury city amenities such as shopping & dining, museums, theaters, and art galleries ~ and is a hop, skip, & a jump to the Interstate highway for convenient travel. 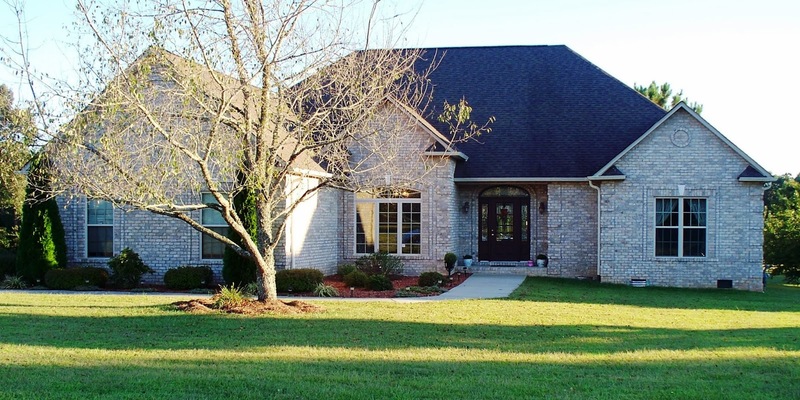 Wait 'til you see how very sweet this home is! First impressions are important! 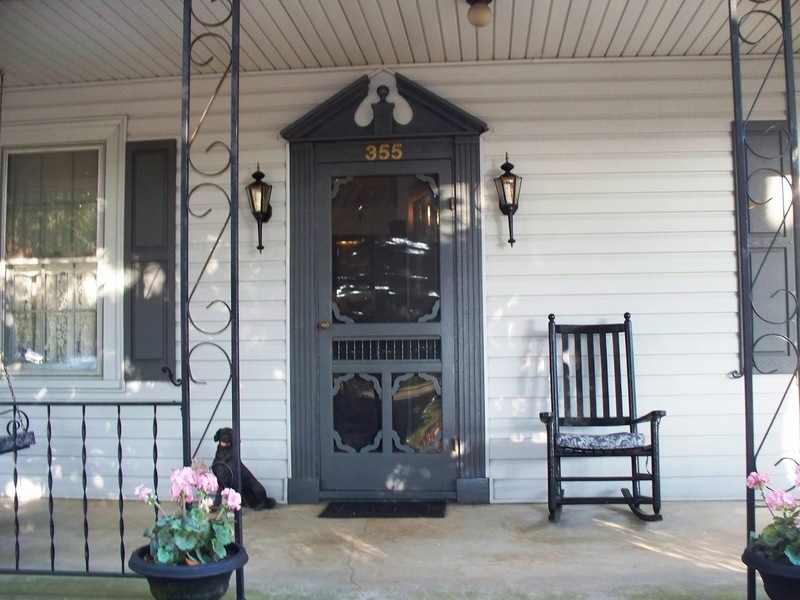 As you walk up the curved walk through the front yard, shaded with mature shade trees and a wonderful southern magnolia, and up the brick steps to the front door, the beautifully crafted, solid wood Vintage Woodworks screen door welcomes you and your friends with charm and elegance. 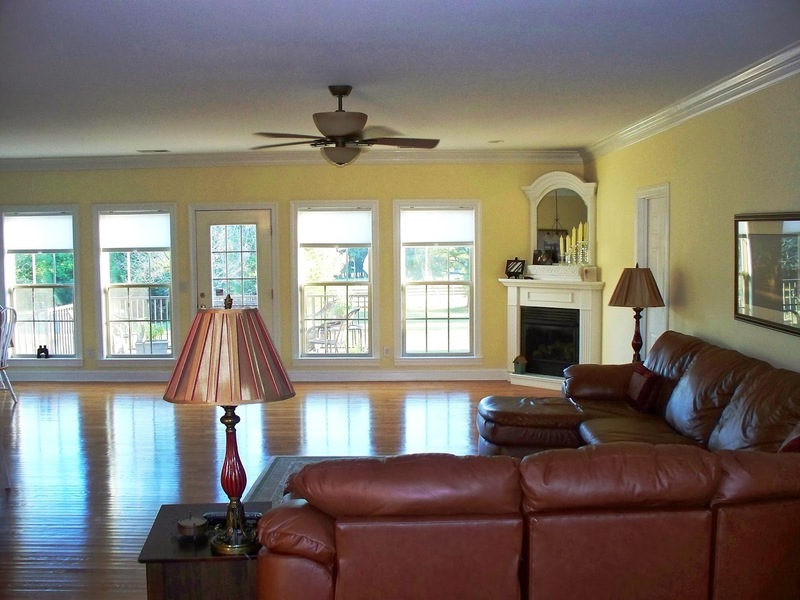 Nothing compares to gentle breezes wafting through your home... and savings on air conditioning bills are assured. 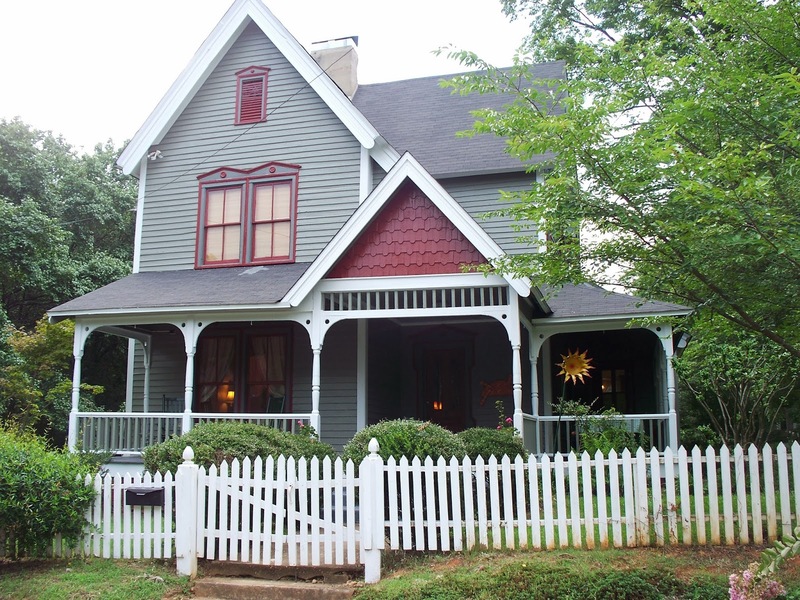 "Grandma's Cottage" is cute-as-a-button with attractive trim work including color coordinated shutters, and pediment trim (a classical style triangular upper portion surmounting a portico of columns) at the front door. 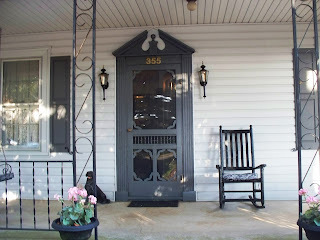 You'll picture yourself taking in summer breezes on the rocking chair front porch ~ complete with porch swing ~ that is lined with flowering azaleas. The cottage-style kitchen alone conjures up visions of apple pie cooling on the stove, with warm knotty pine walls, plate rails, painted cabinets with glass fronts to show your pretty china, and its vintage 1940's porcelain over cast iron sink with built-in drainboard. The kitchen opens to the warm wood-paneled dining room, separated only by attractive open woodwork, creating a long open and inviting vista from dining area to kitchen. 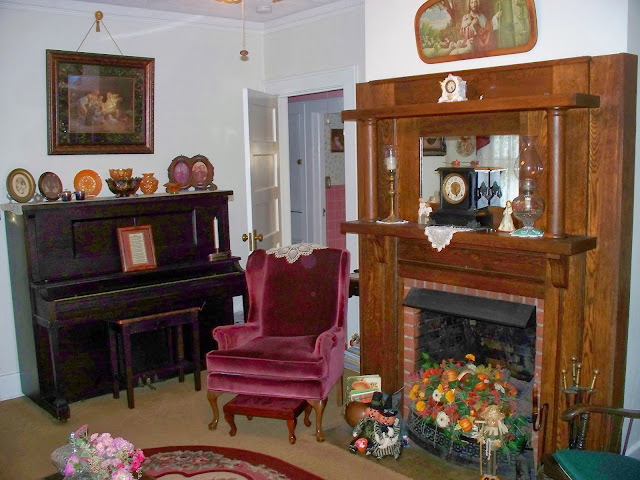 The cozy, but roomy (nearly 18 x 14), living room has a fireplace with an absolutely beautiful mantle piece, surely to be the central focal point of your home! 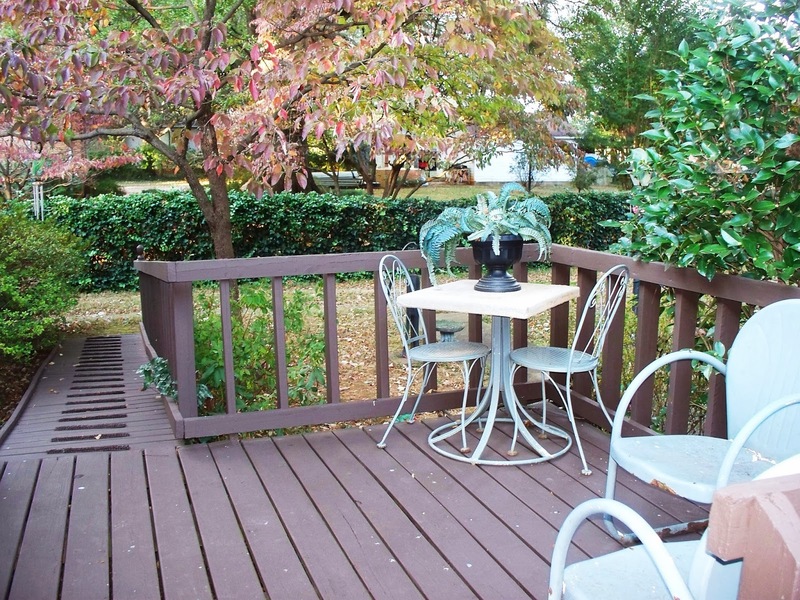 You will love the shady deck out back for al~fresco dining. The back yard is fenced in ~ great for pets and/or children, and has beautiful mature shade trees and ornamentals, as well as a cute firepit for your s'mores evenings! 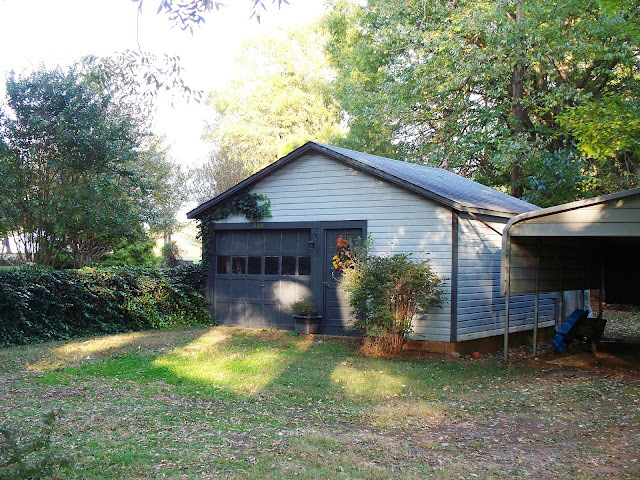 The 2-car garage is currently divided into a workshop & 1 car area, and has a detached, external, double car port. "Grandma's Cottage" at 355 Dukeville Road has been very well maintained. The home has a newer roof, newer vinyl siding (no painting!!) 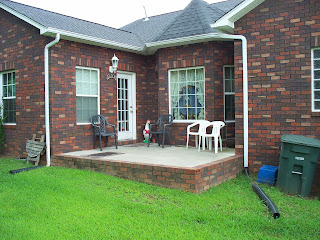 and newer HVAC units. 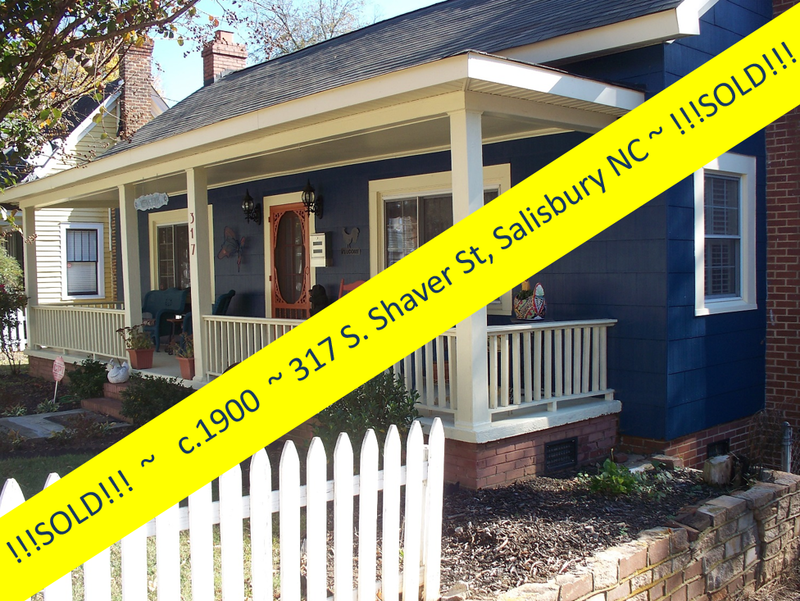 . . Move in and enjoy! 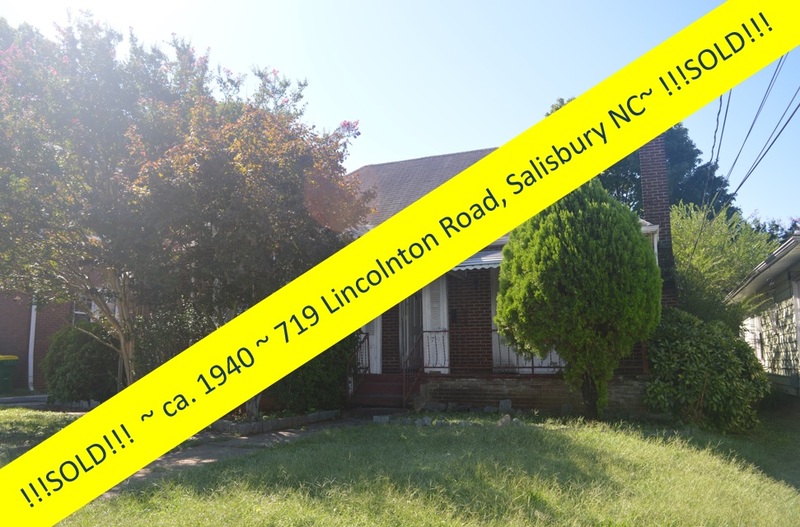 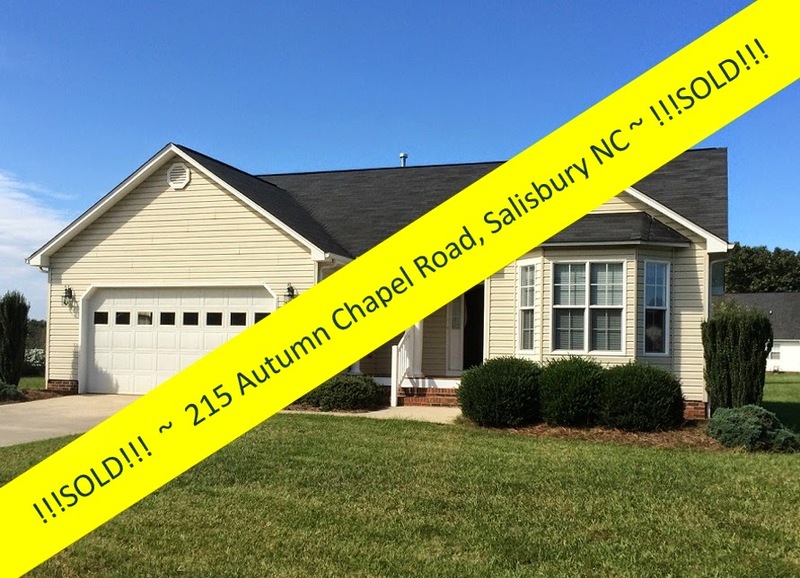 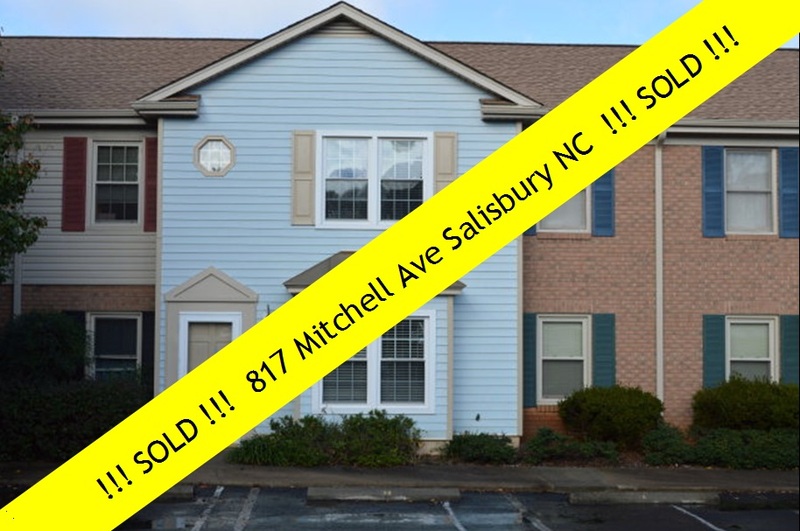 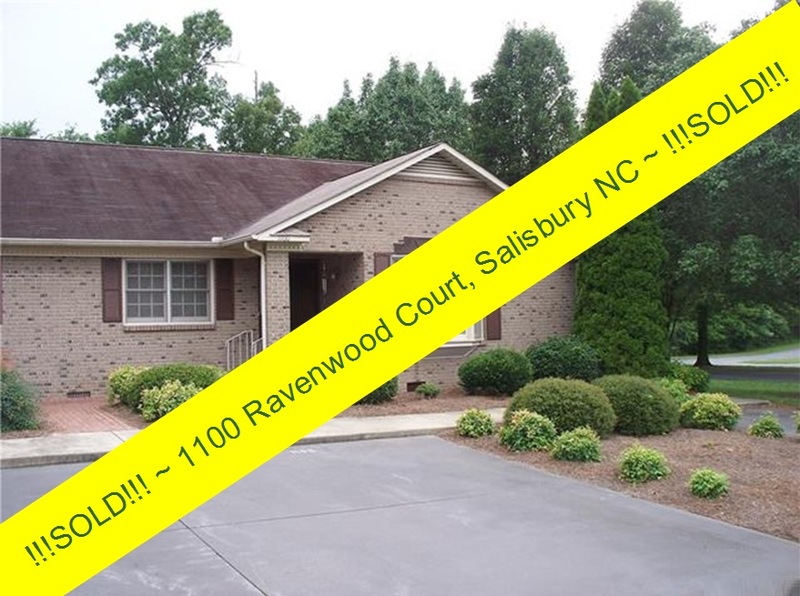 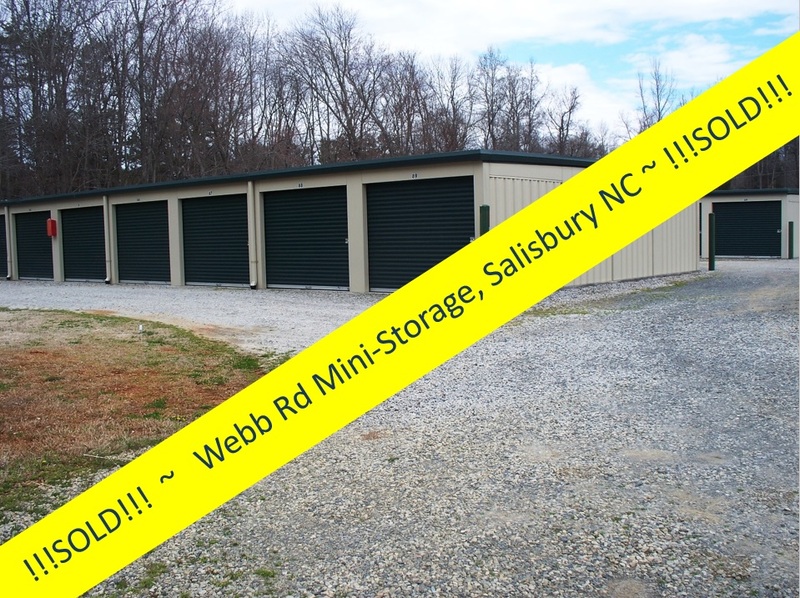 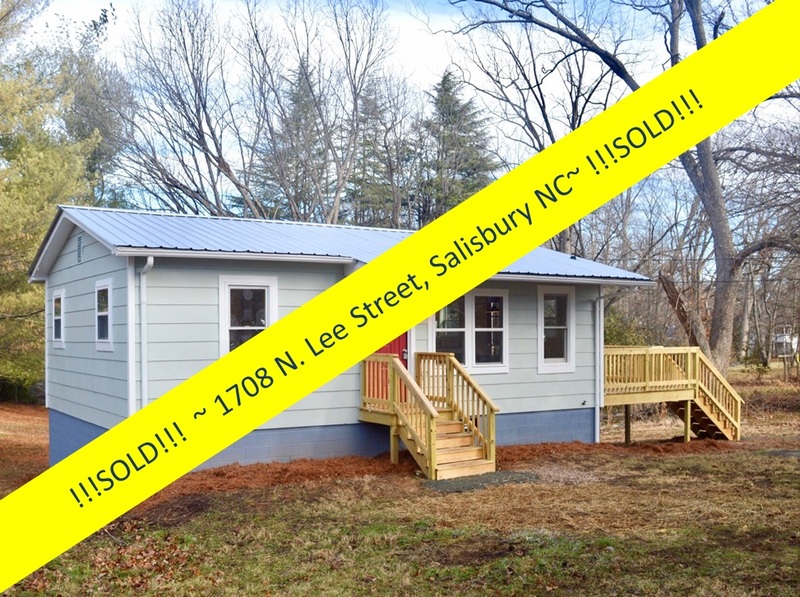 And because of the country location, you will not be paying City of Salisbury taxes or city water bills! 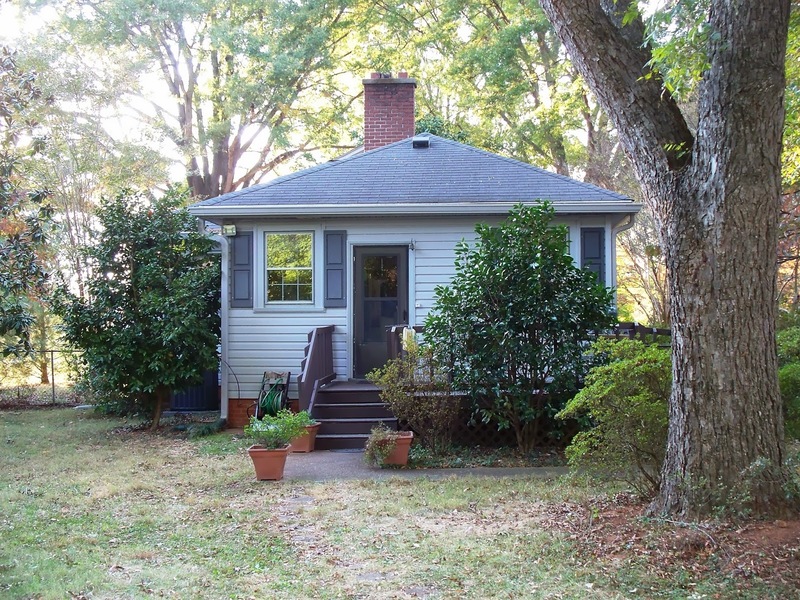 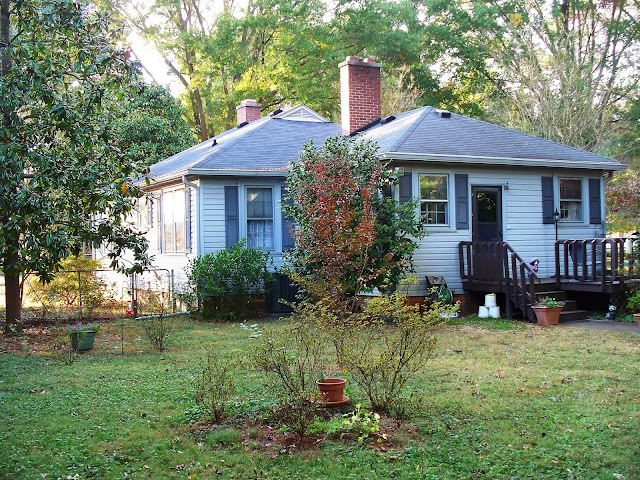 This sweet little home at 355 Dukeville Road, priced right at $69,000 (yes, you read that right! 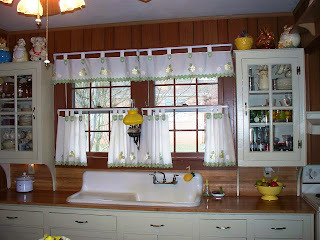 ), is sure to be scooped up very soon ~ it is just too cute to stick around for long! 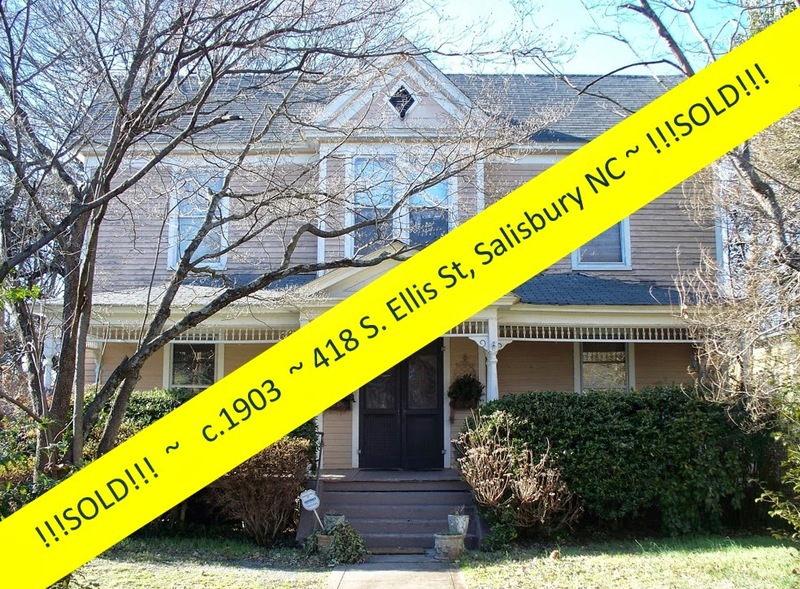 If you'd like to picture yourself on the rocking chair porch, conjure up your own scents of apple pie in this homey kitchen, or envision taking in your morning coffee on the sweet little back deck ~ then call the seller's Realtor® Greg Rapp at 704.213.6846. 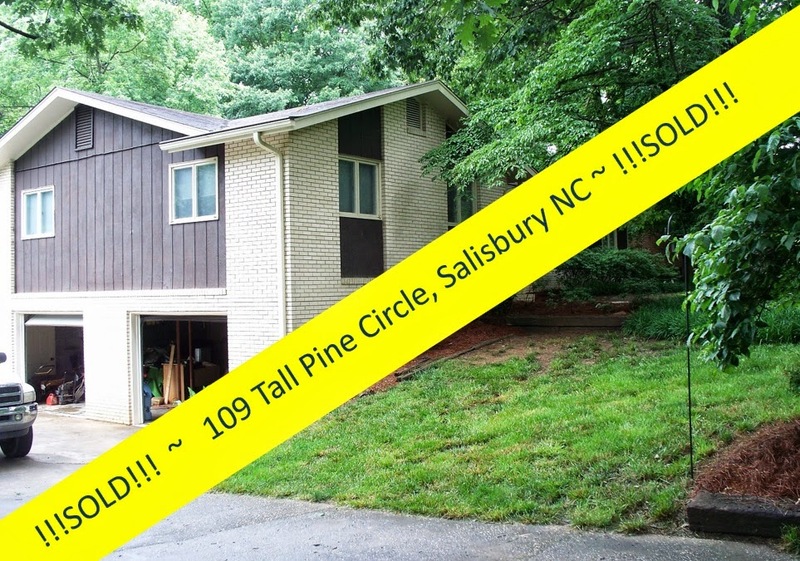 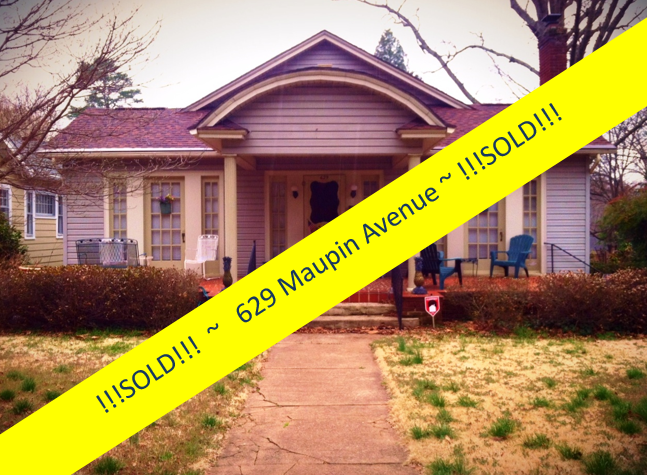 This house ~ move-in ready at just $69K ~ is almost too good to be true! 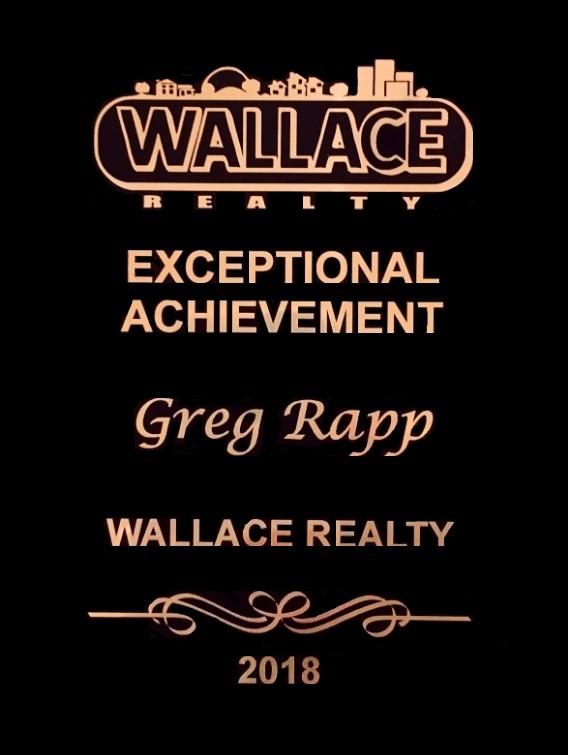 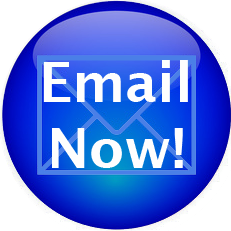 Call Greg Rapp today!